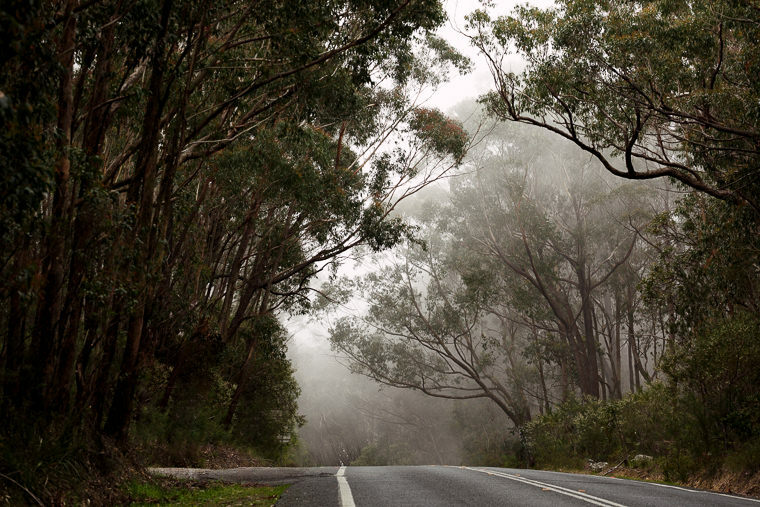 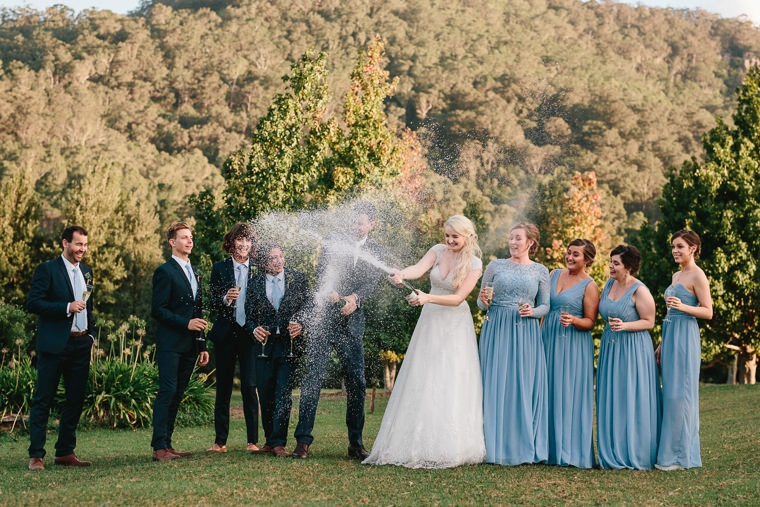 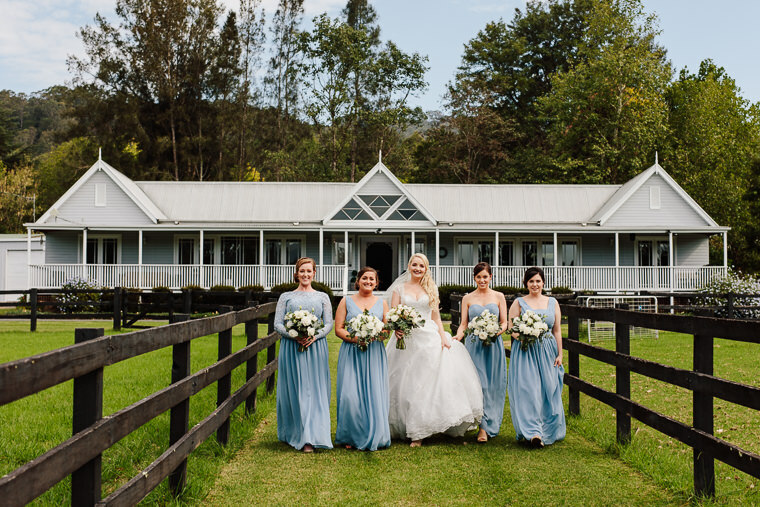 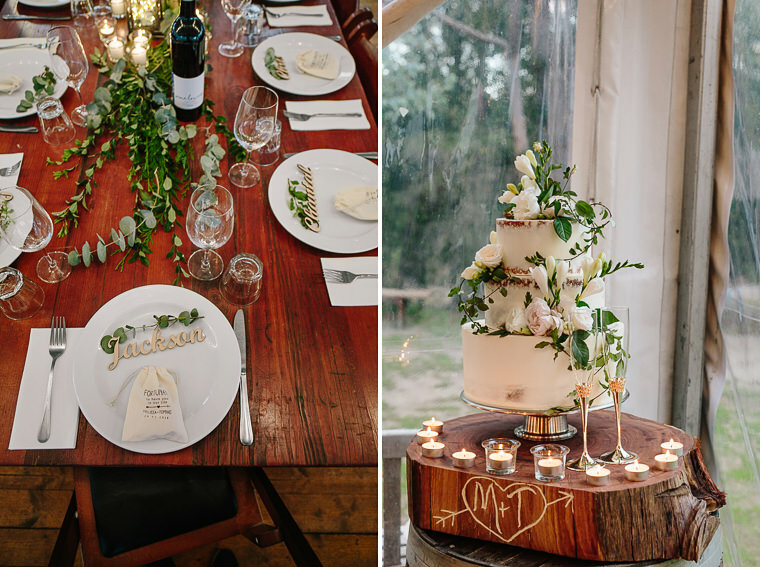 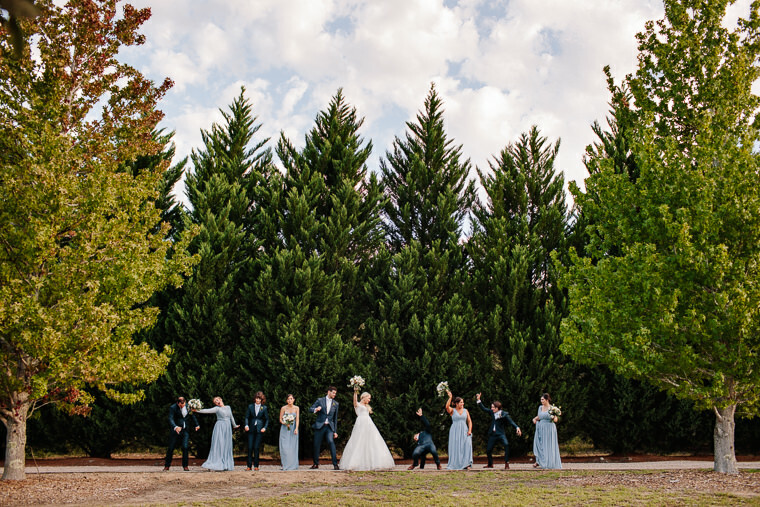 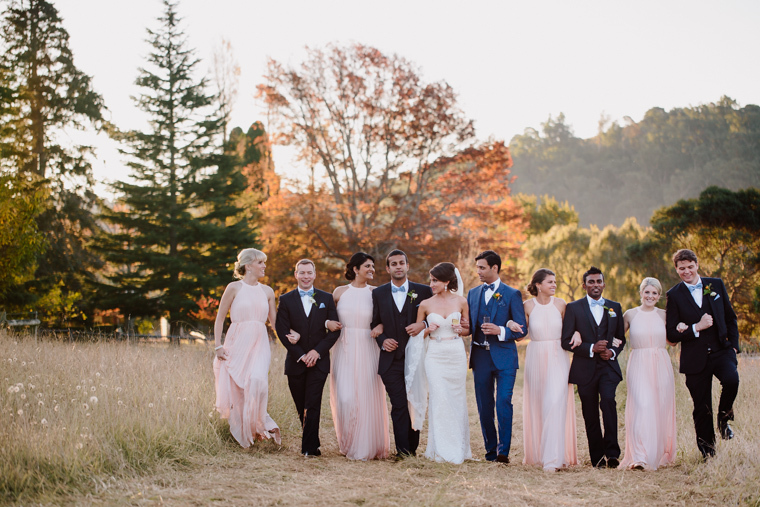 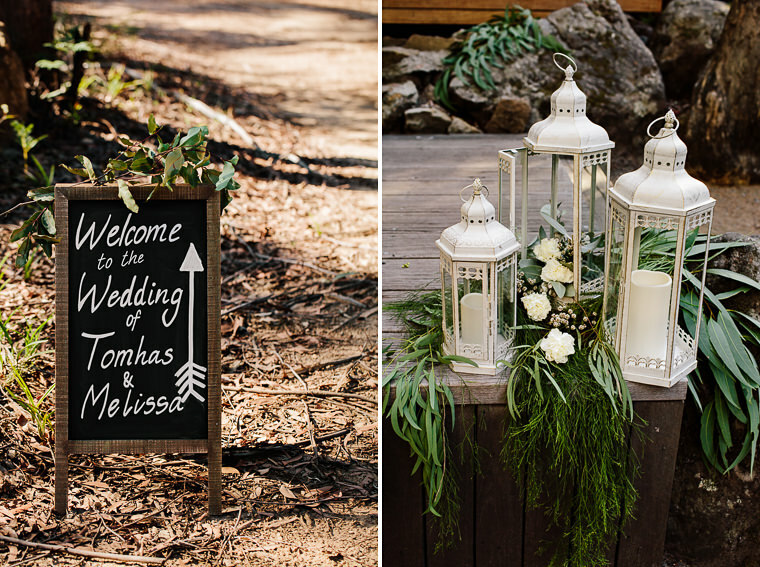 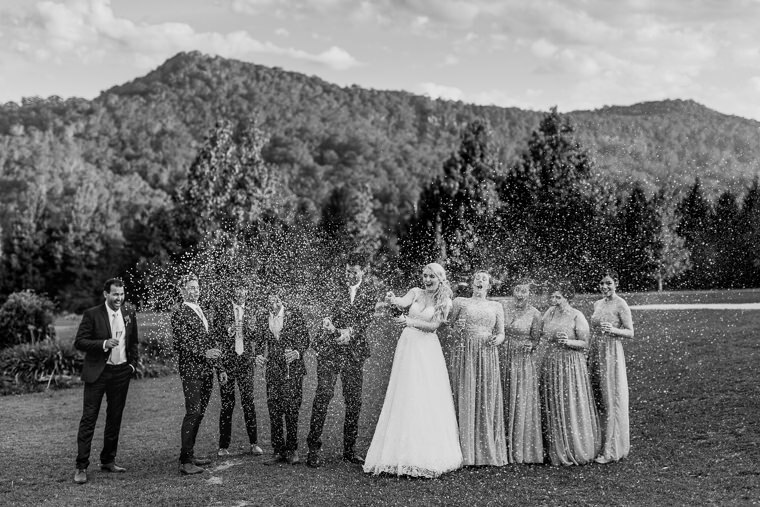 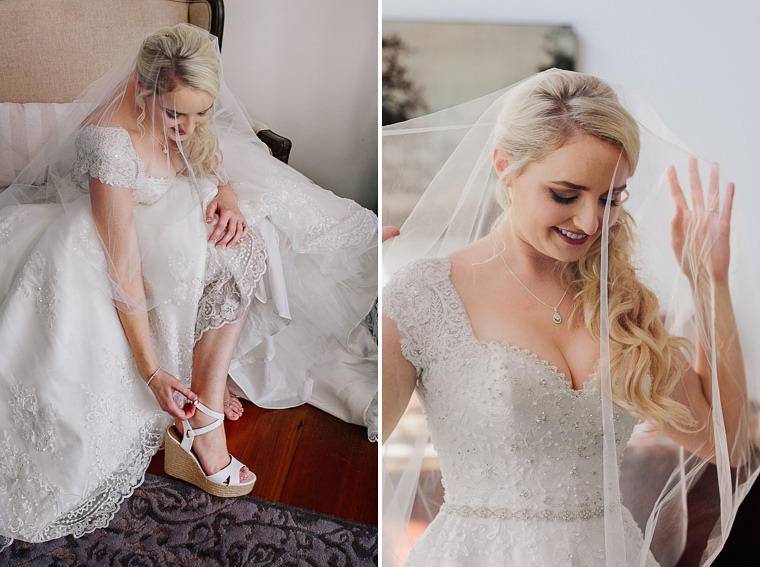 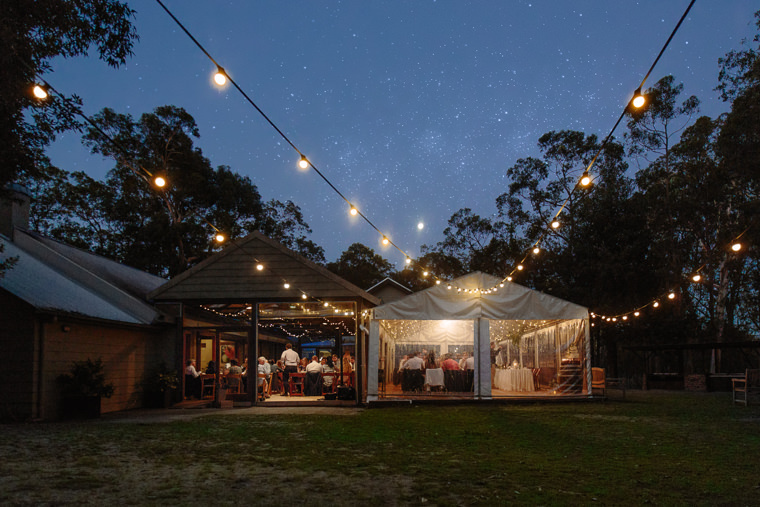 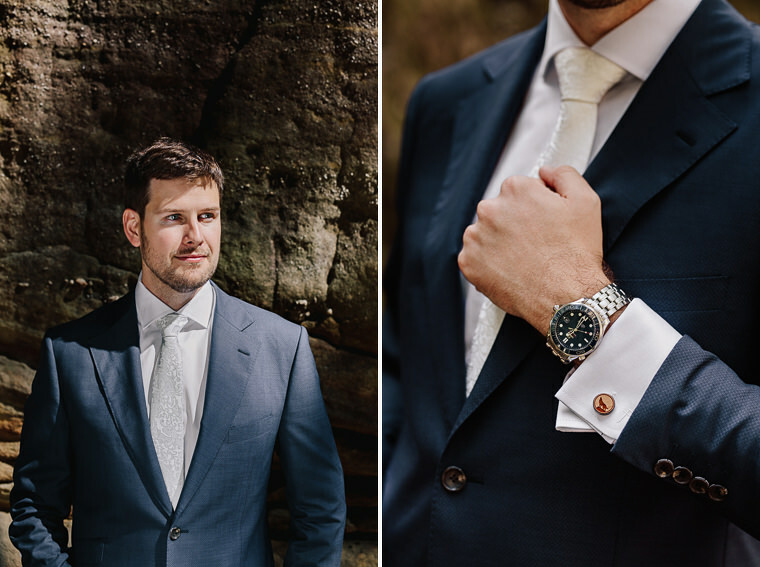 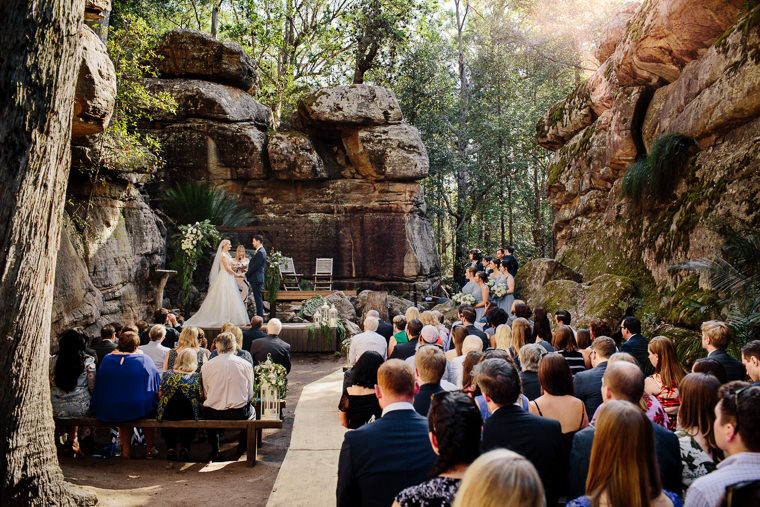 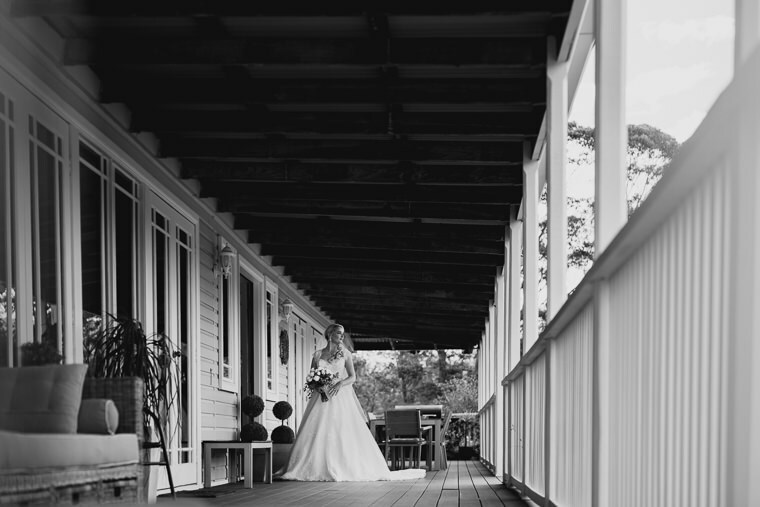 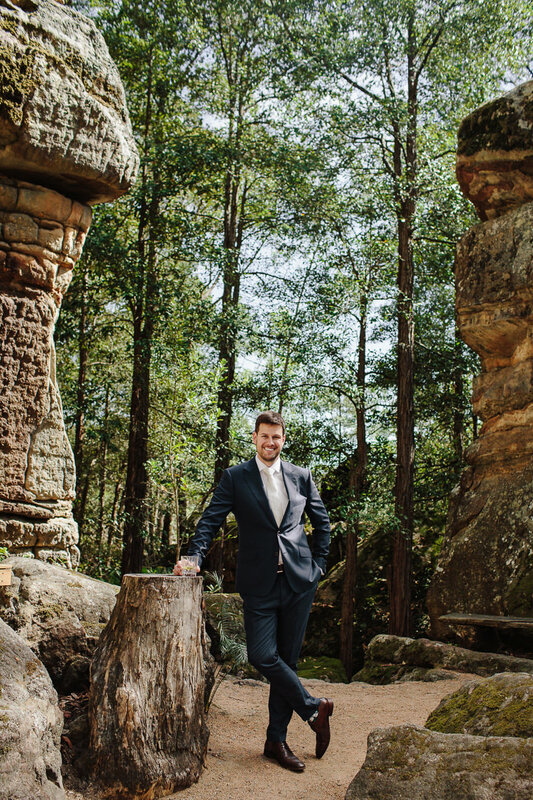 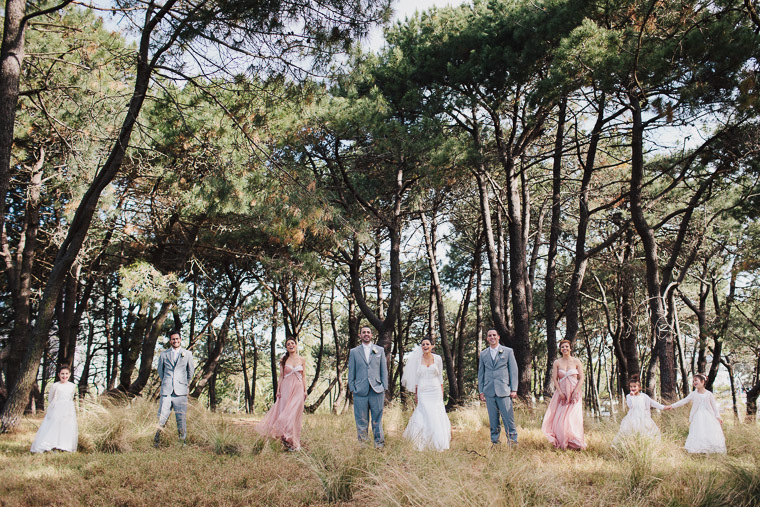 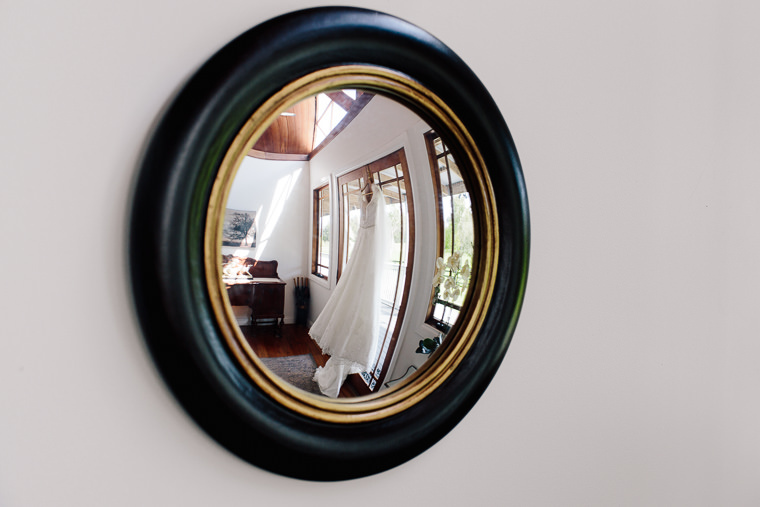 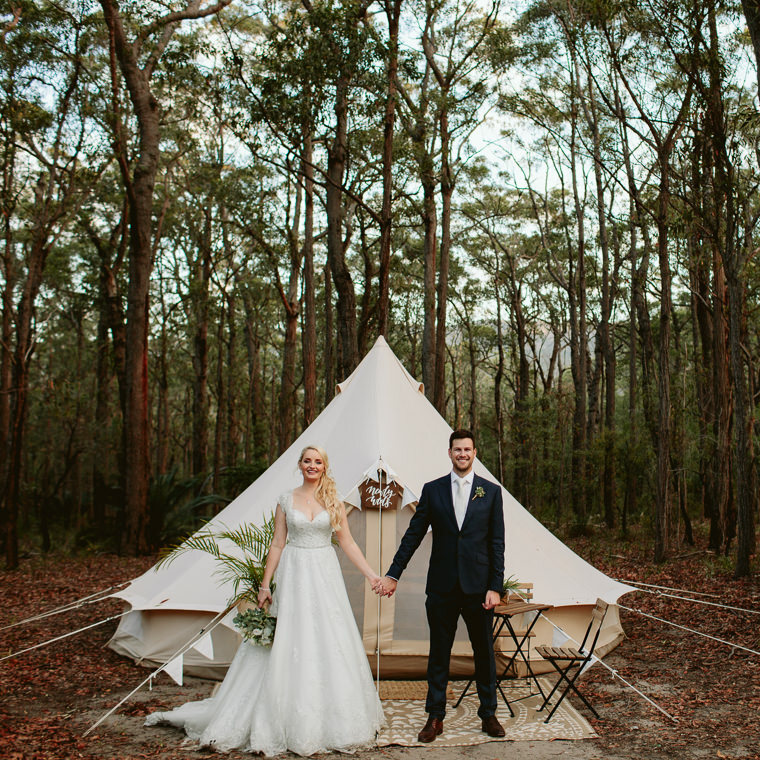 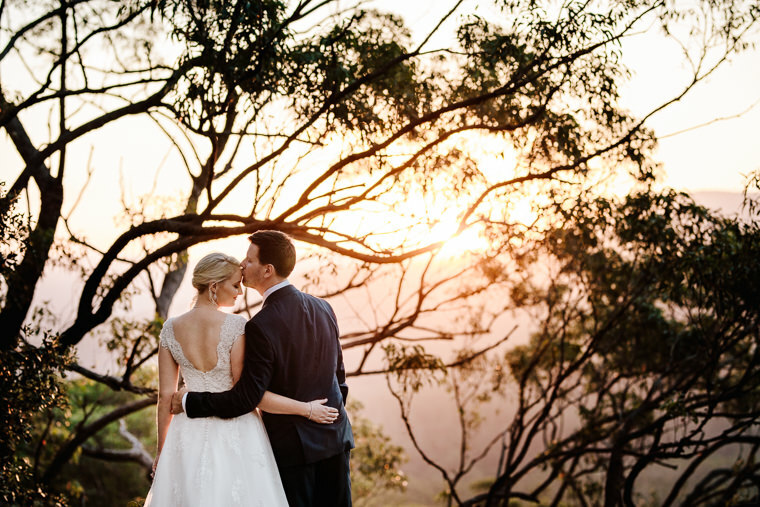 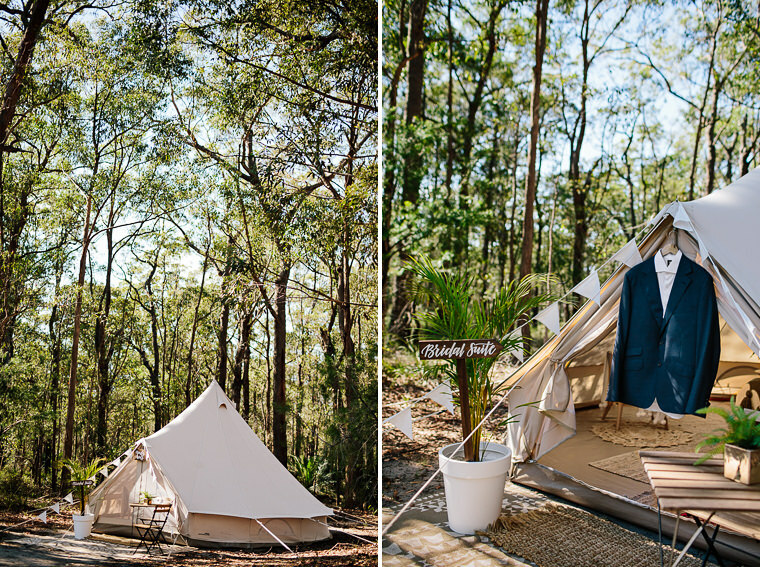 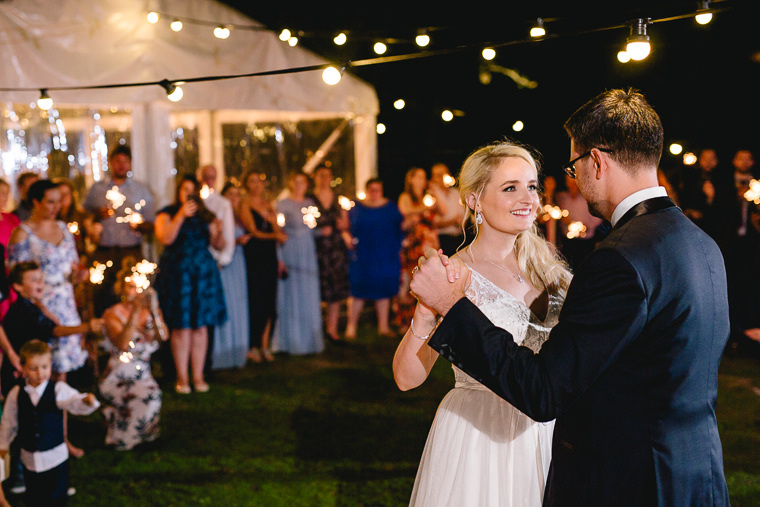 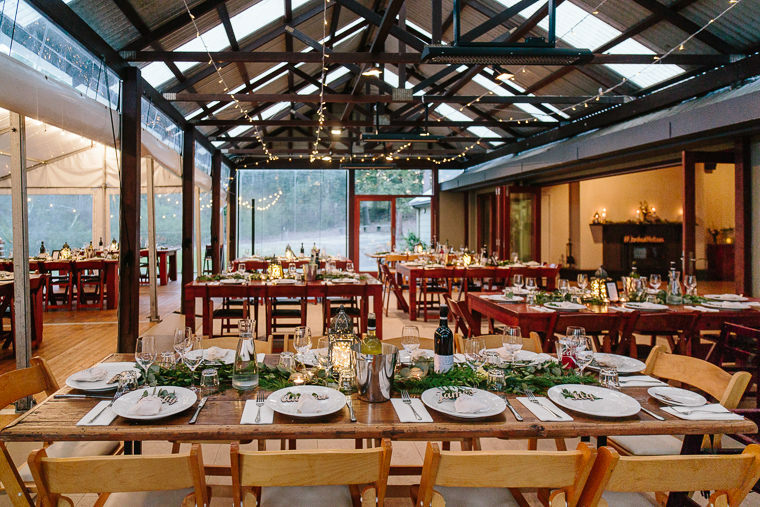 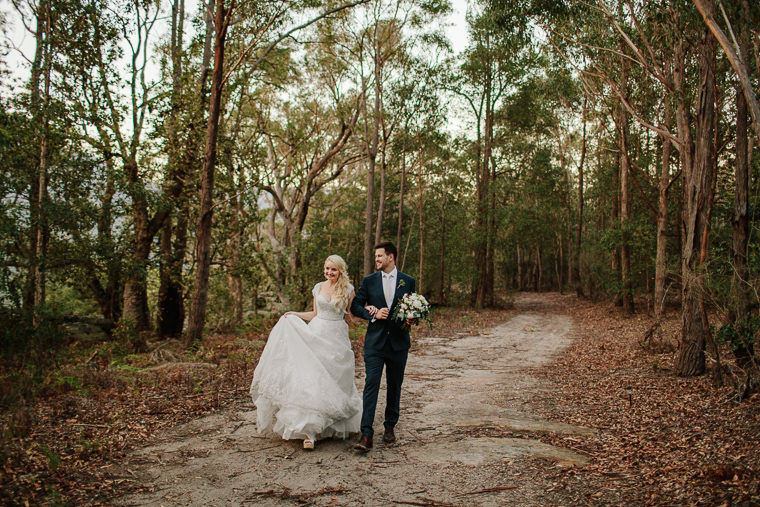 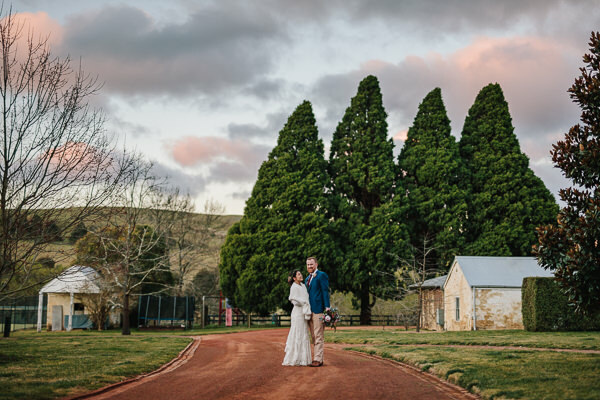 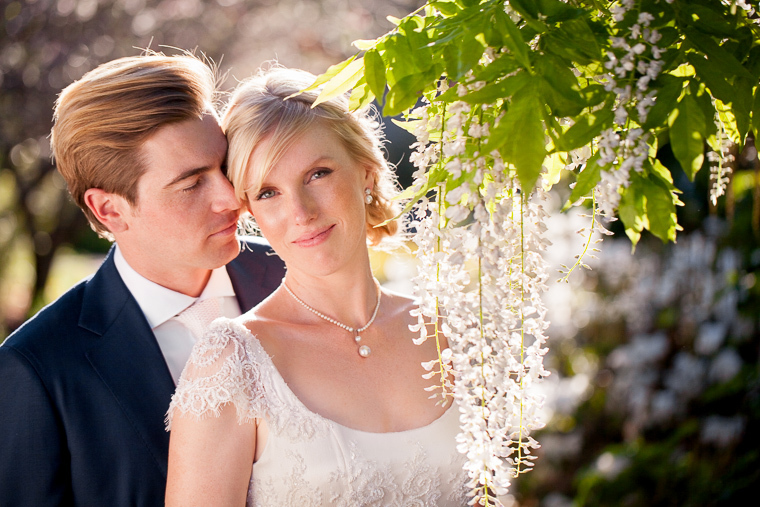 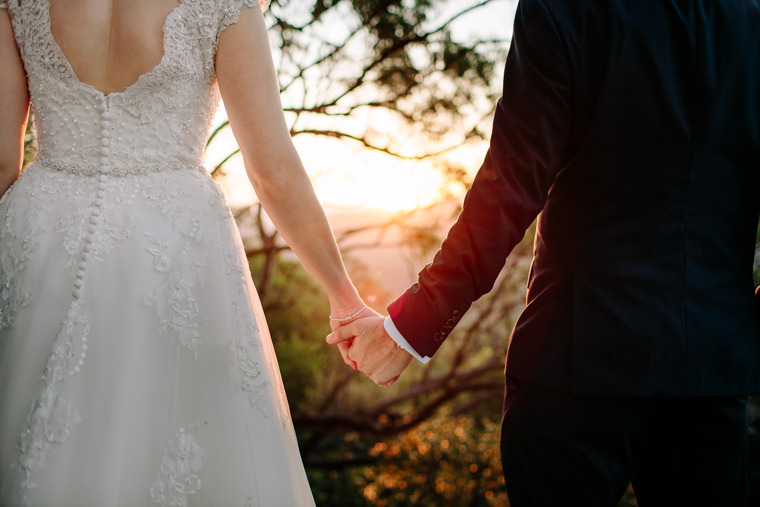 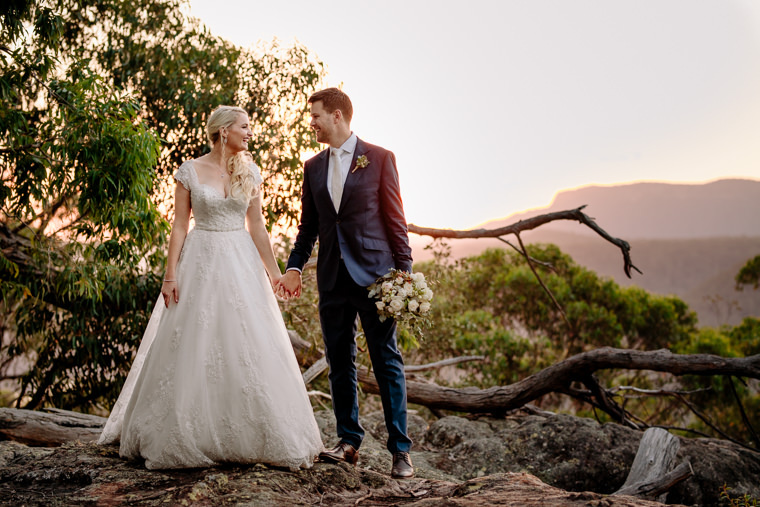 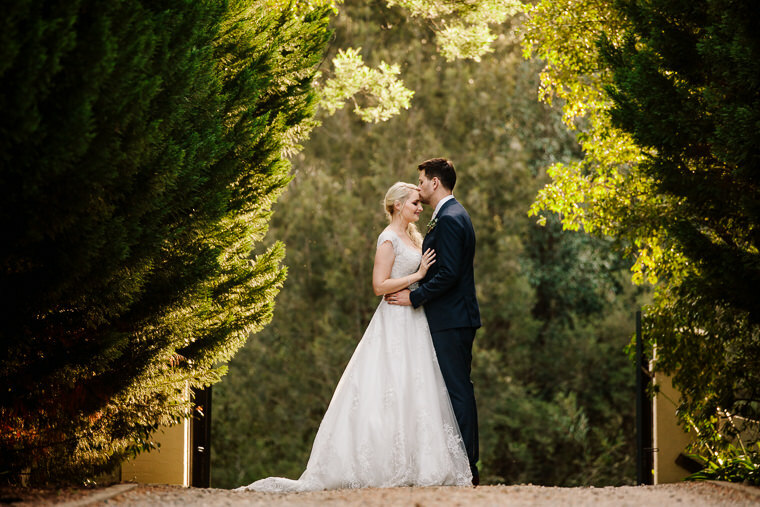 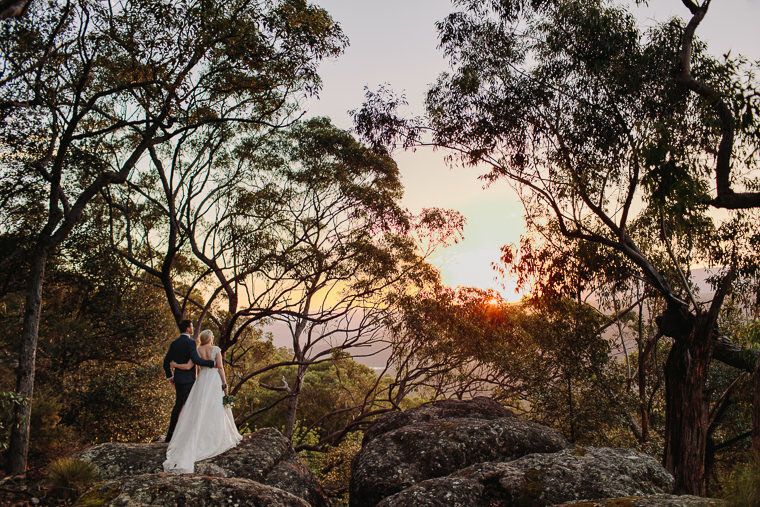 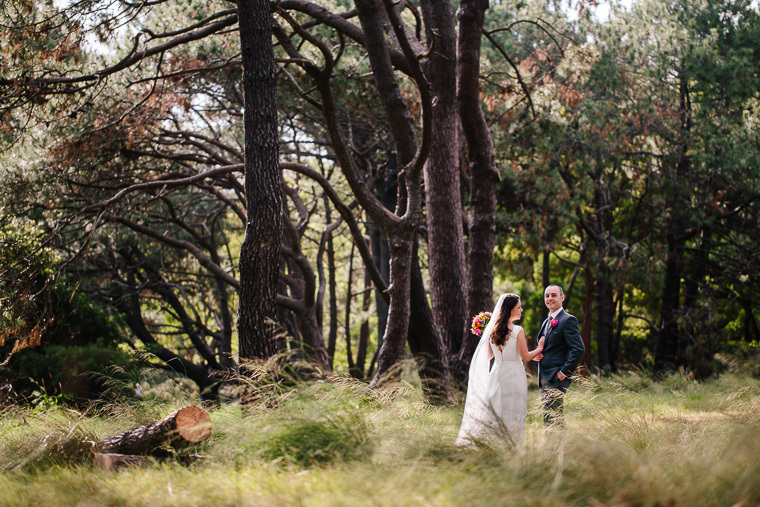 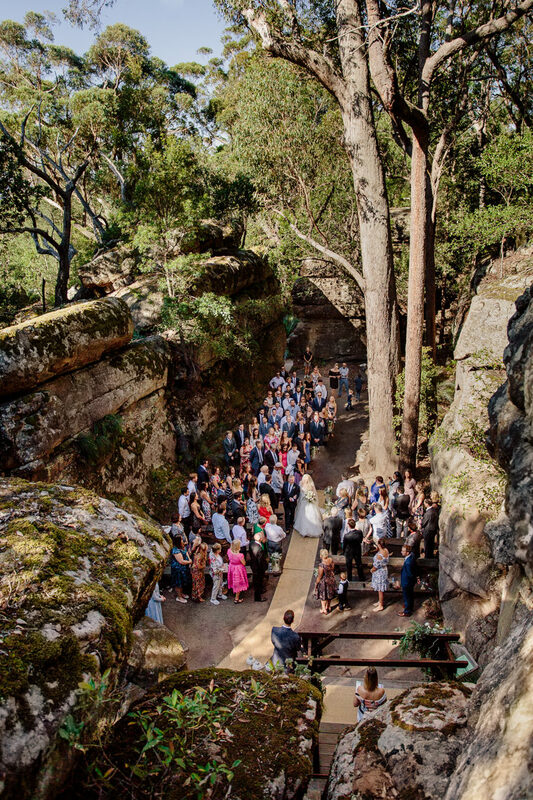 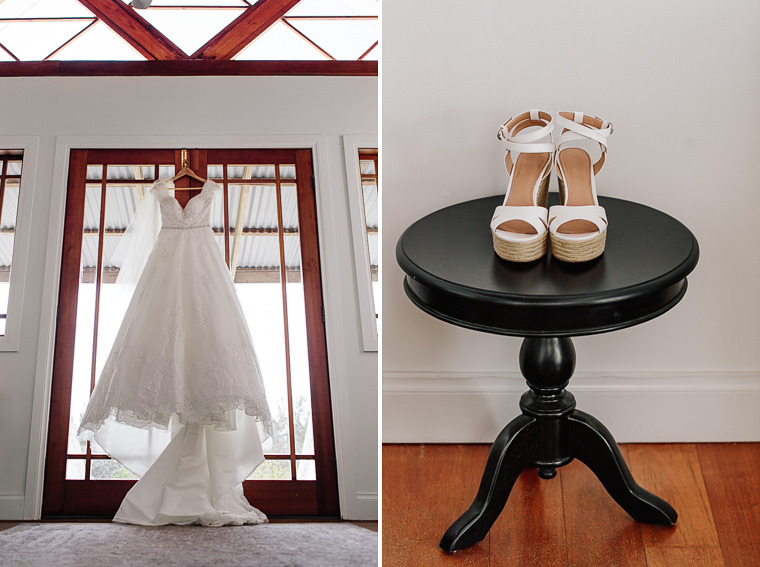 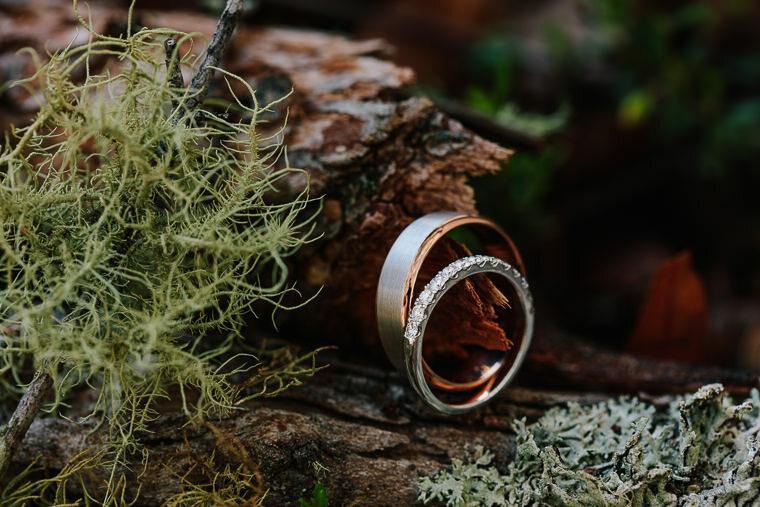 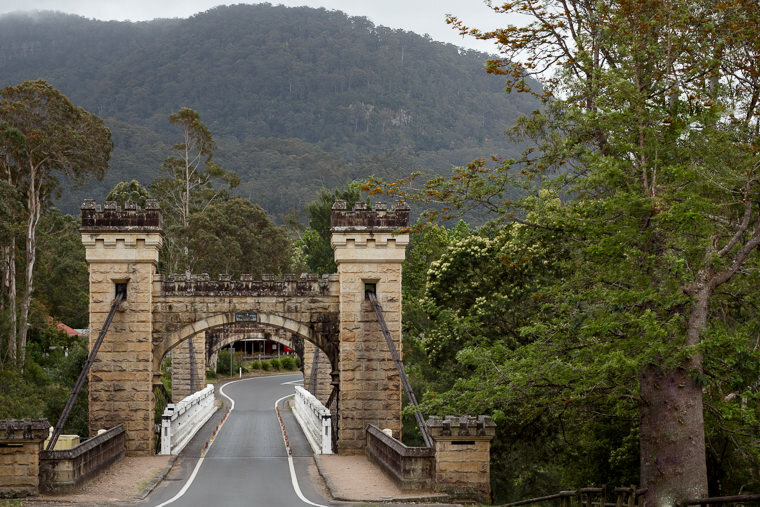 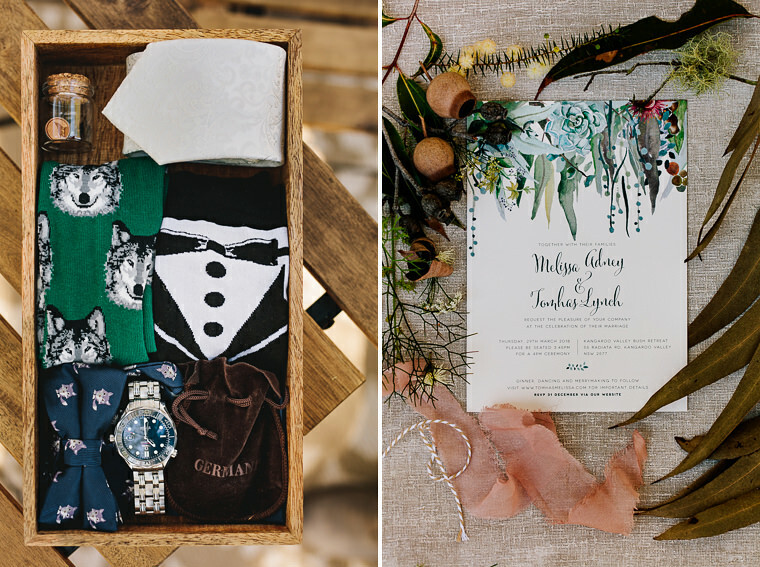 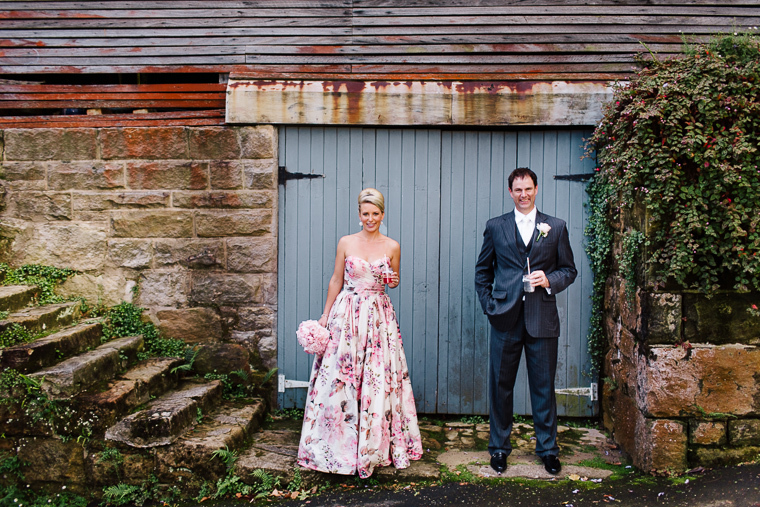 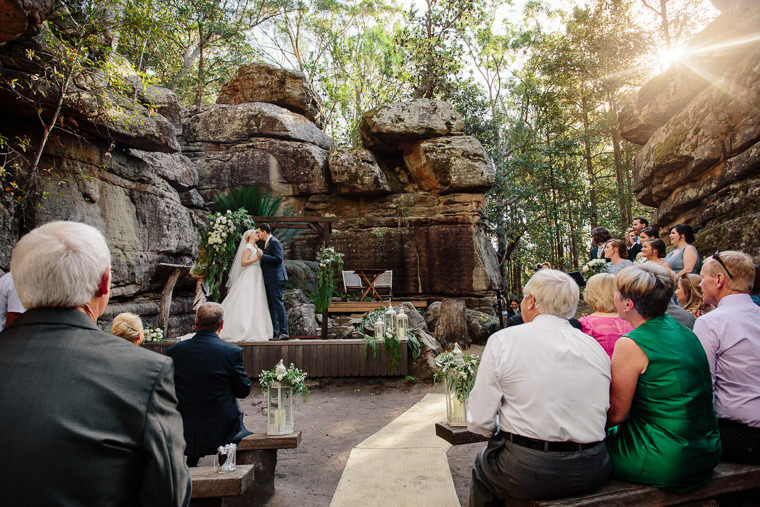 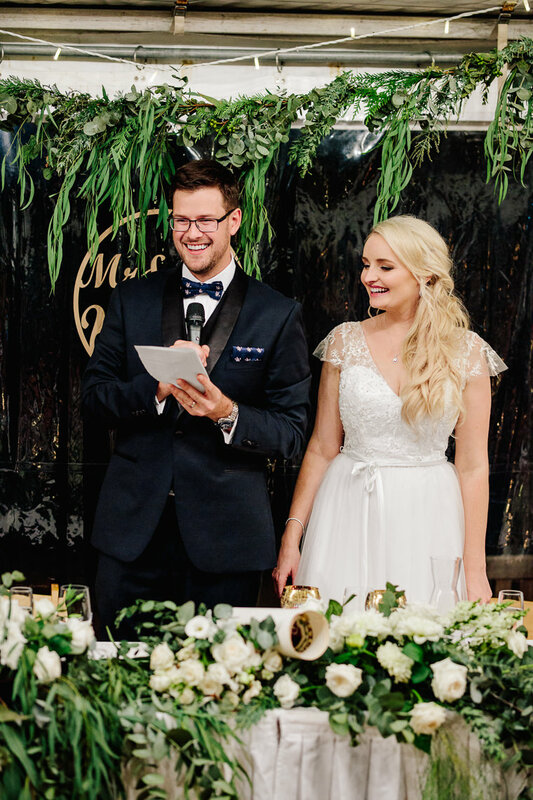 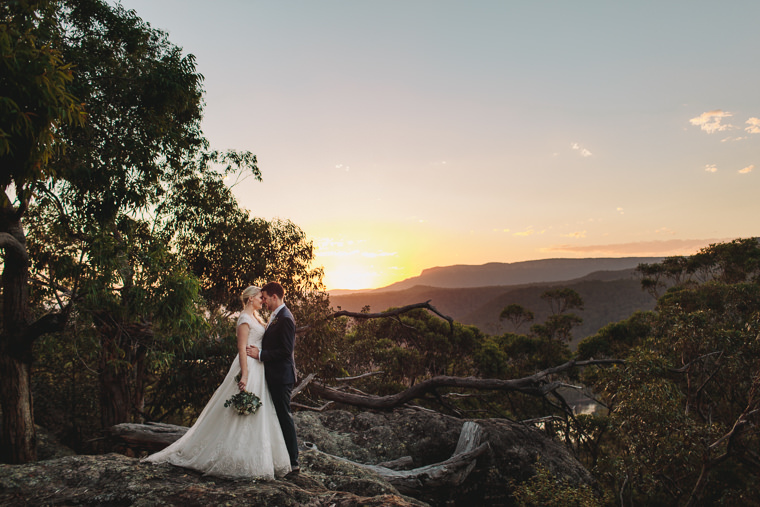 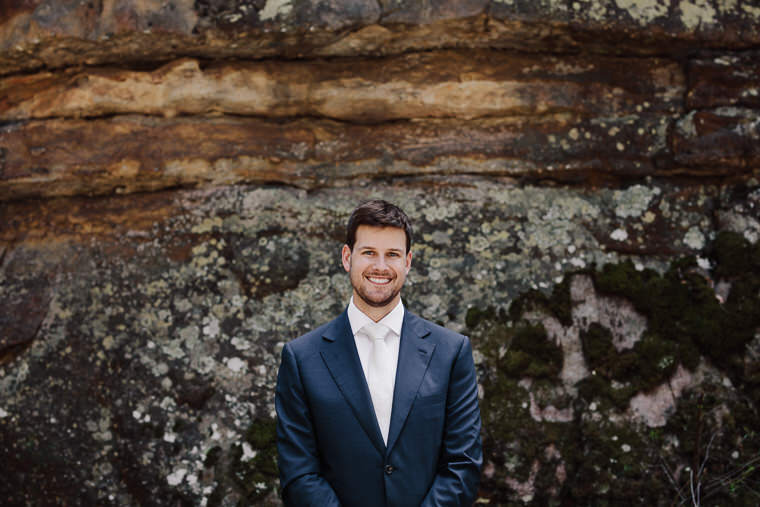 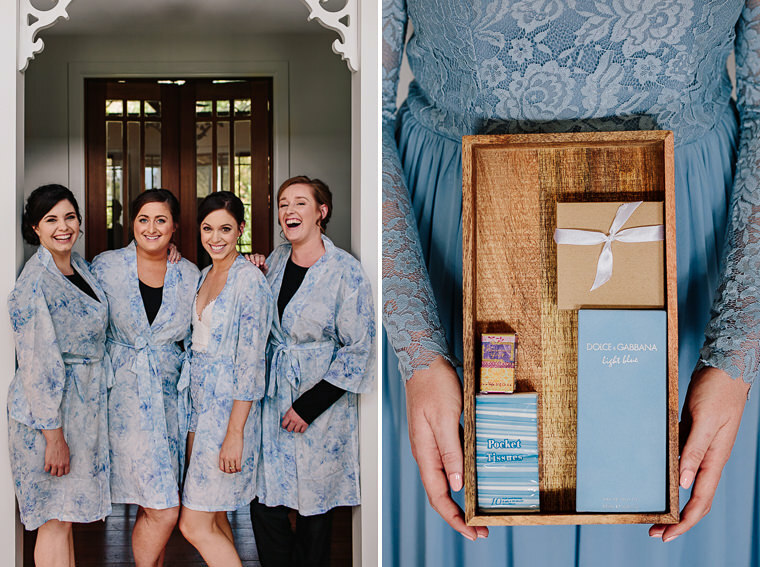 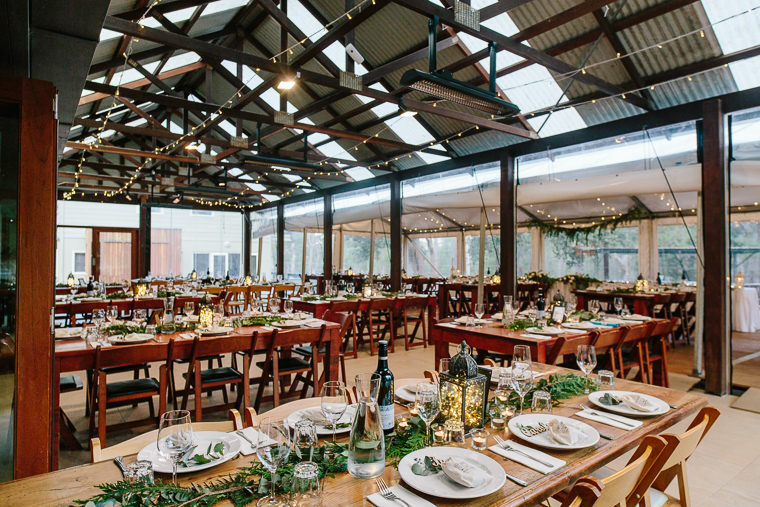 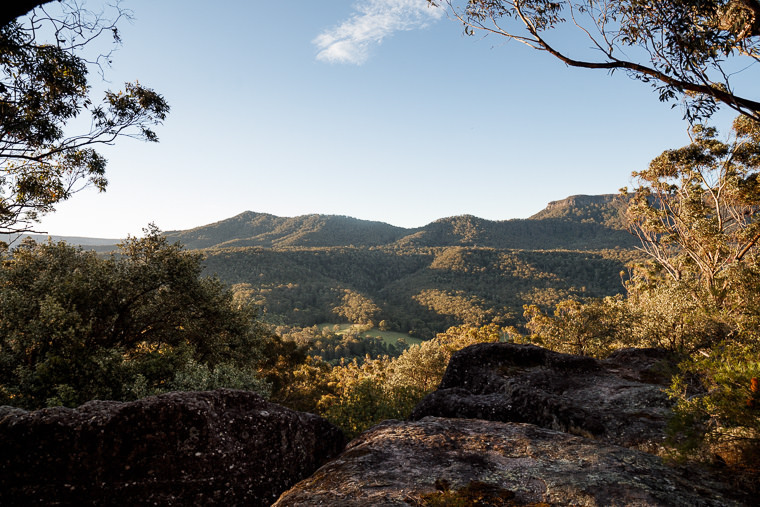 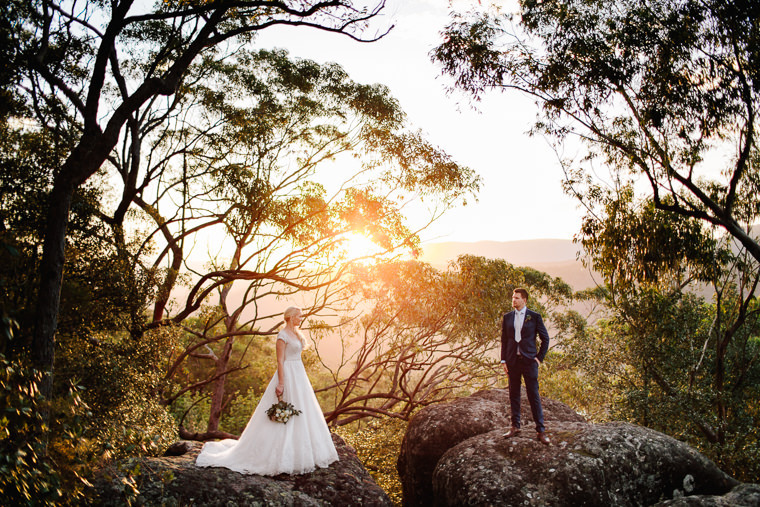 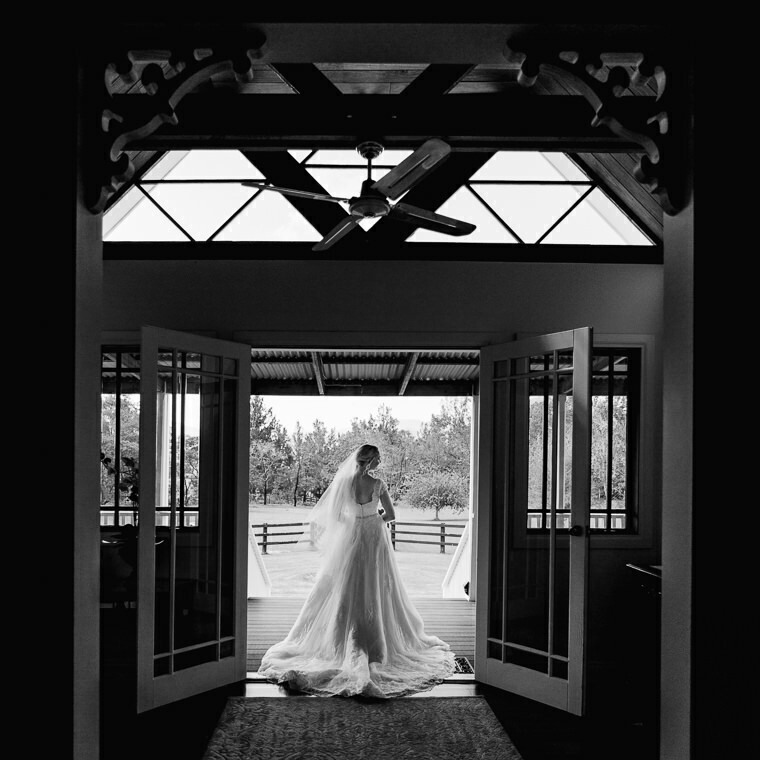 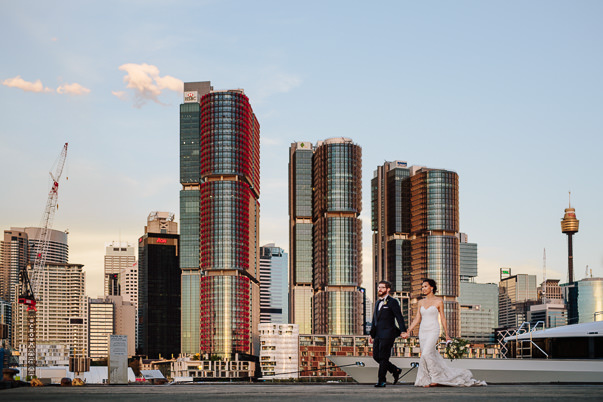 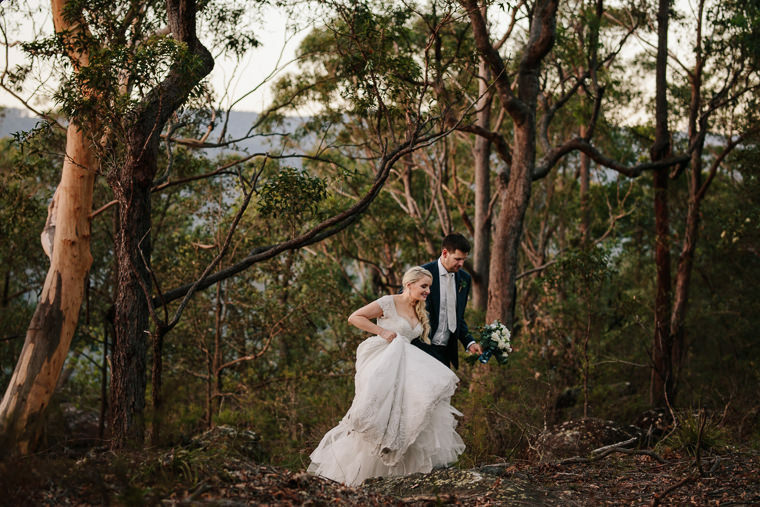 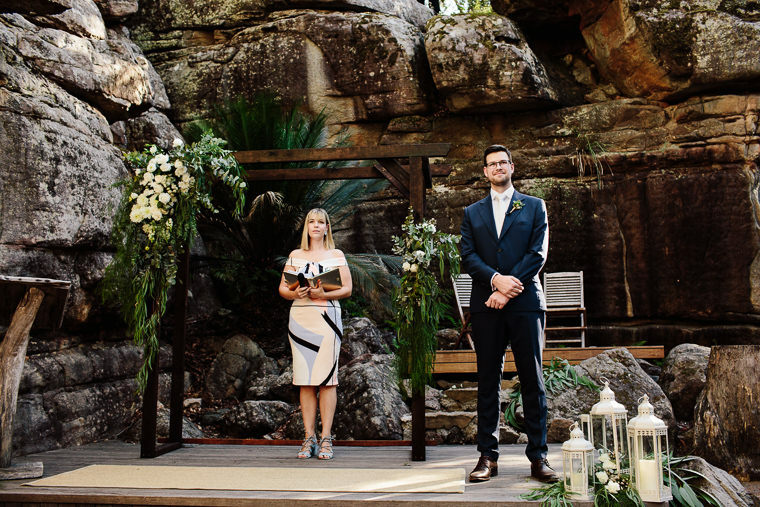 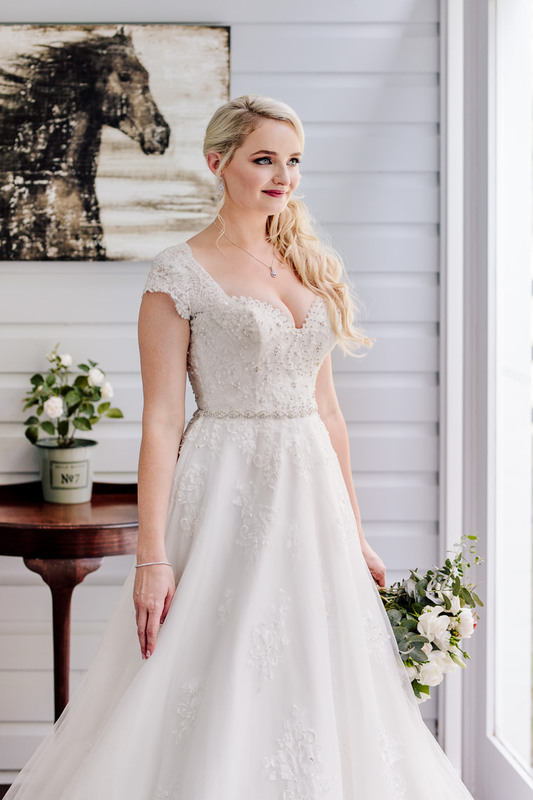 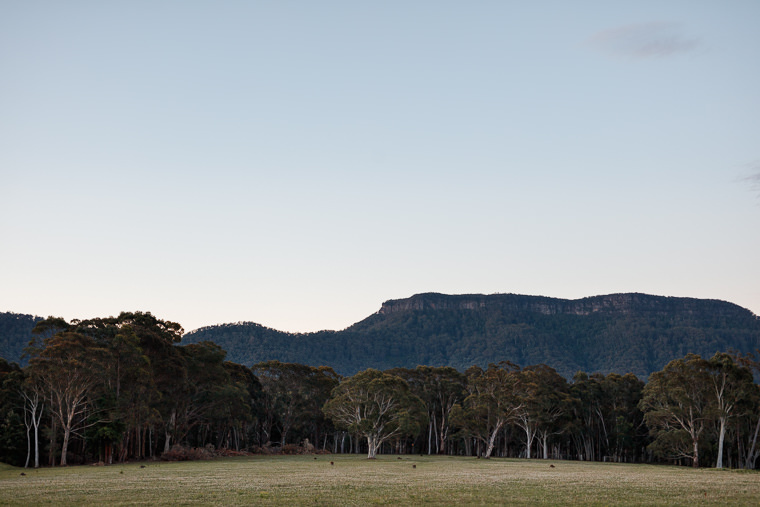 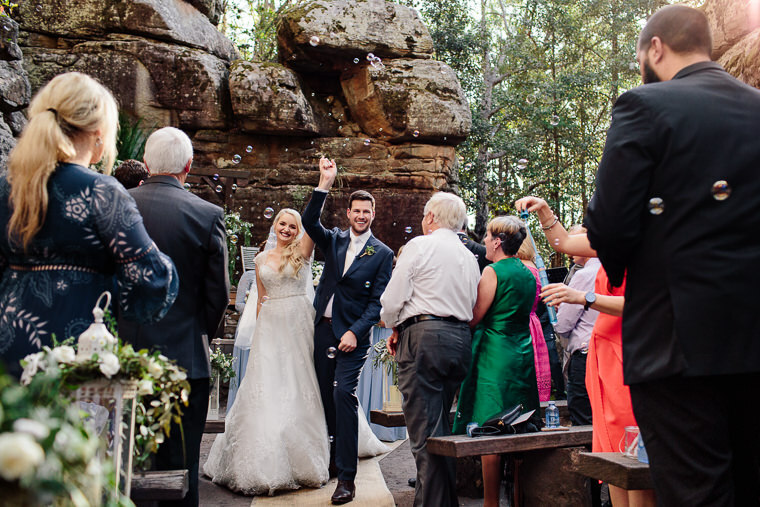 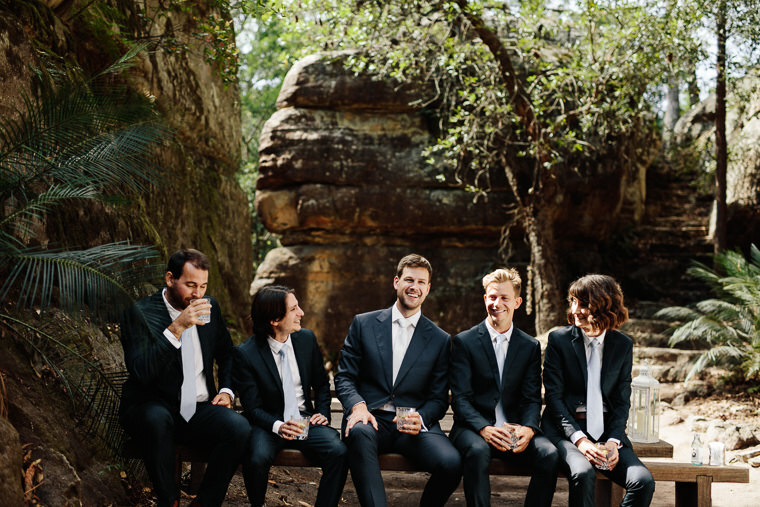 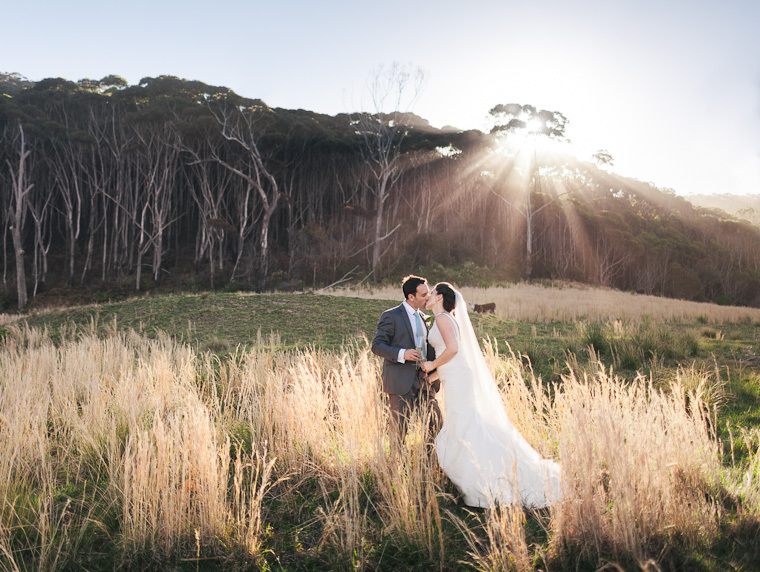 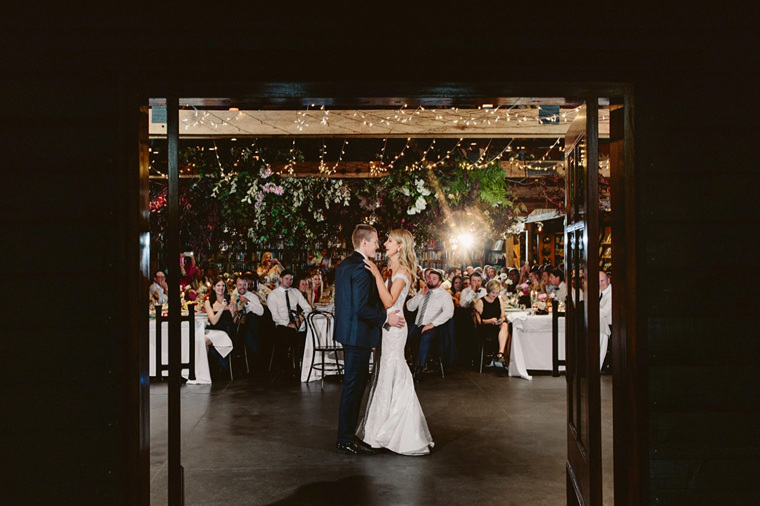 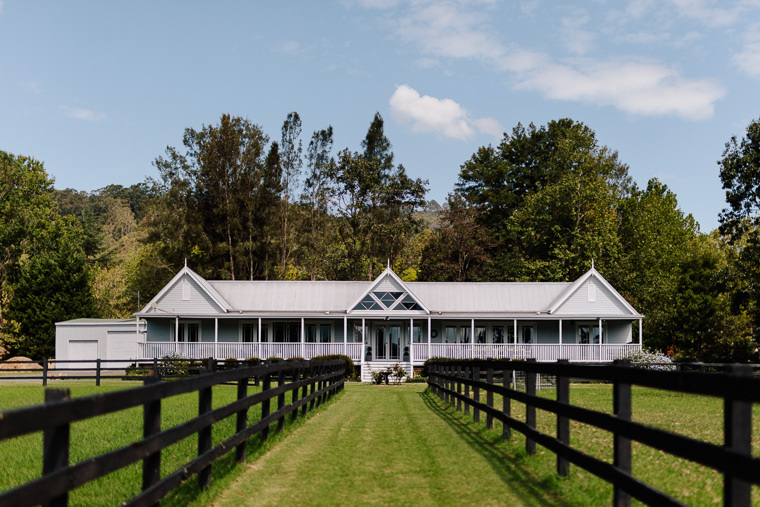 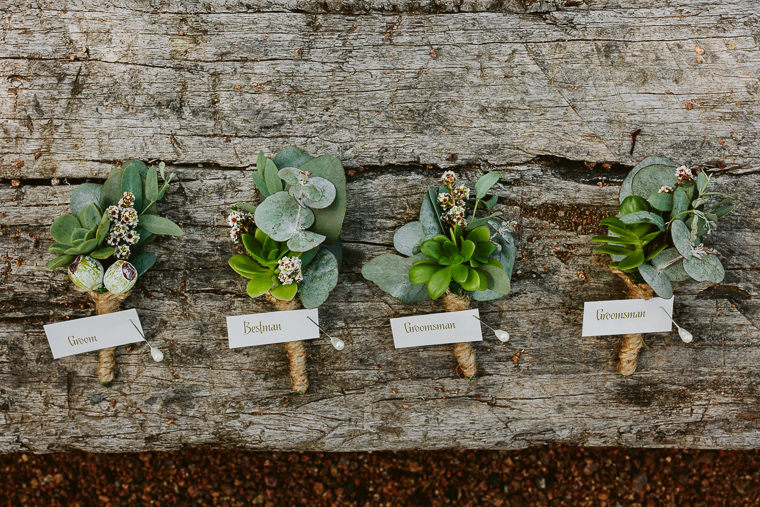 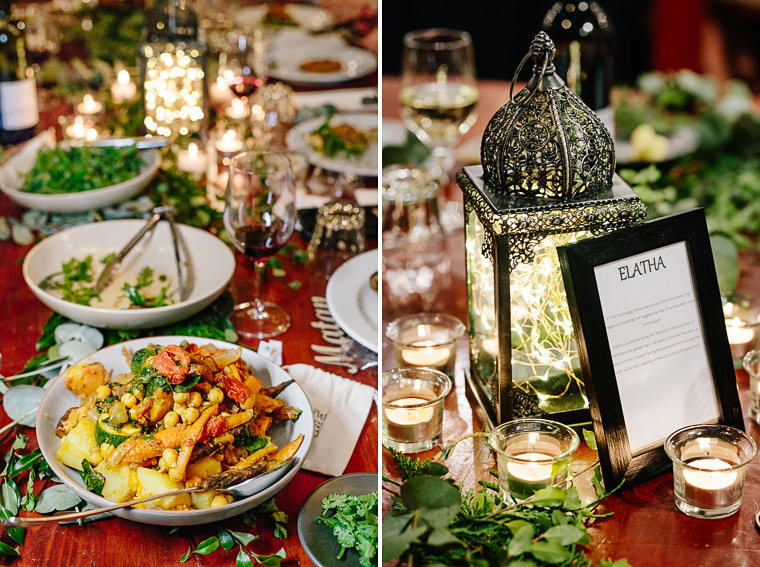 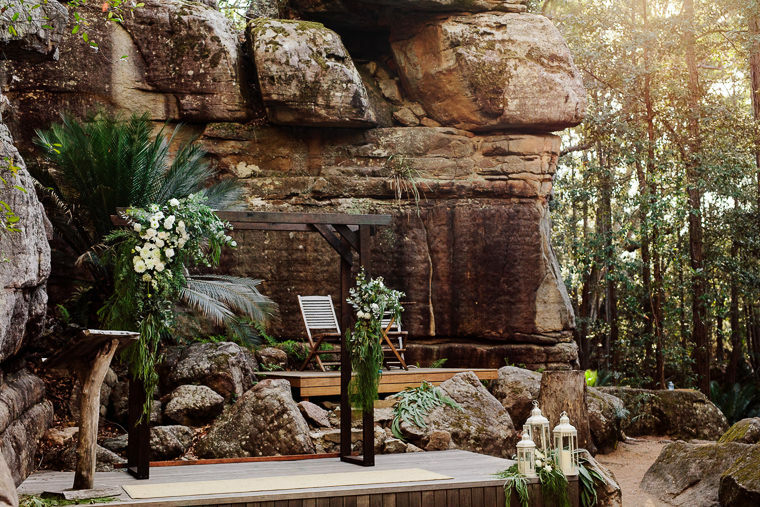 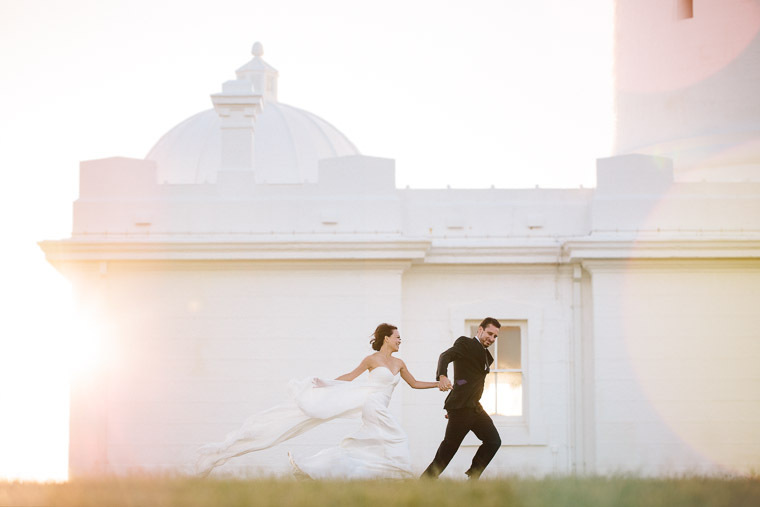 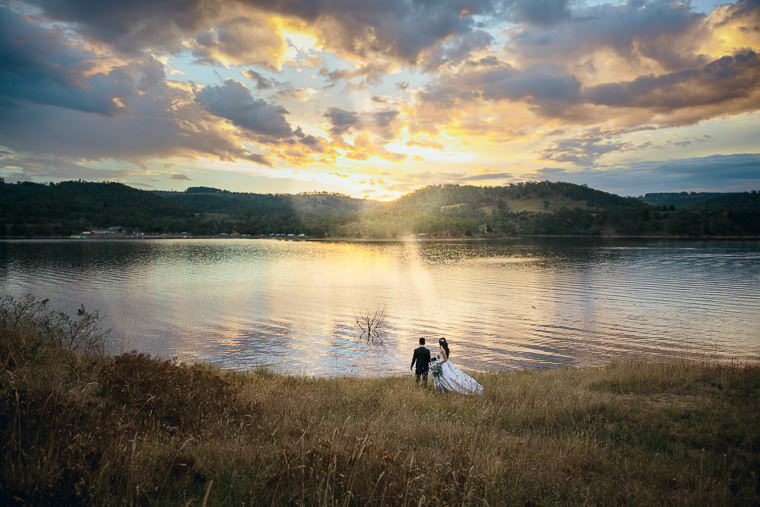 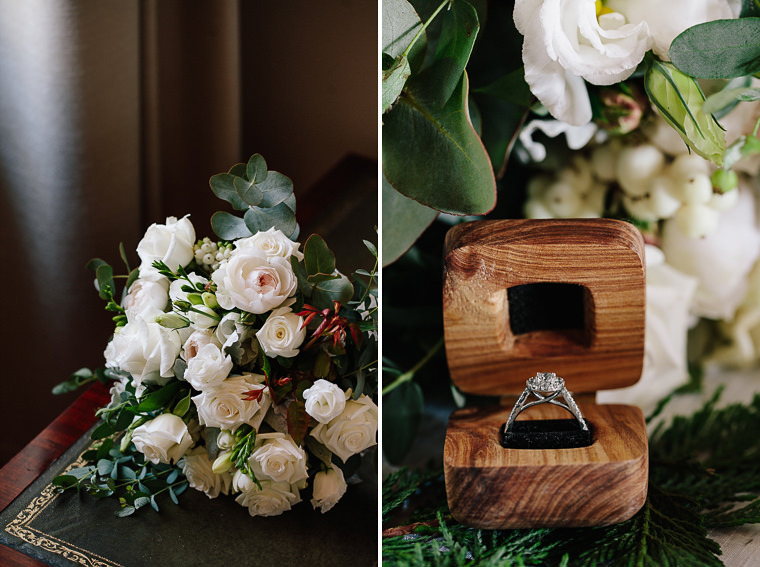 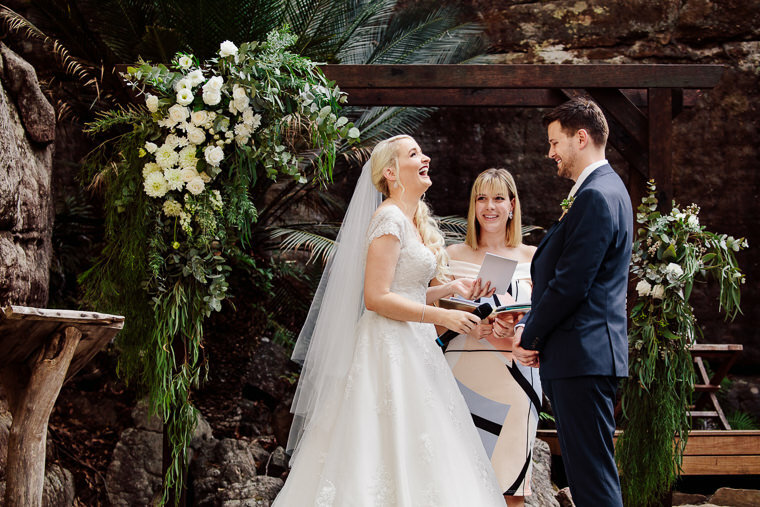 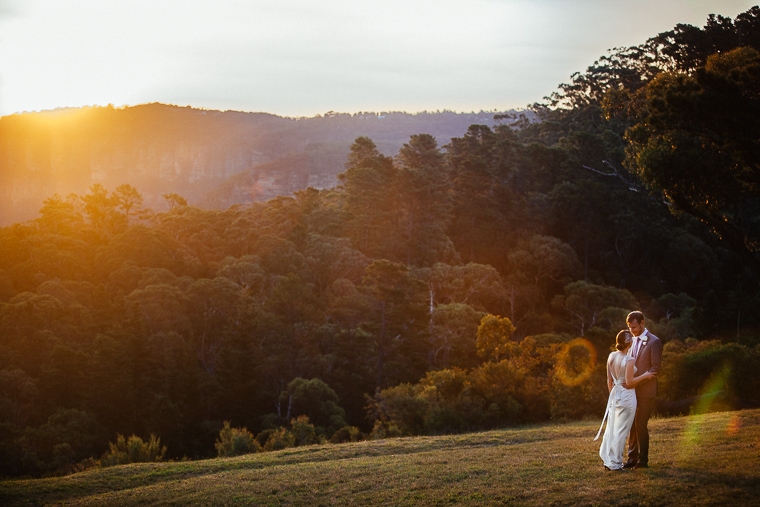 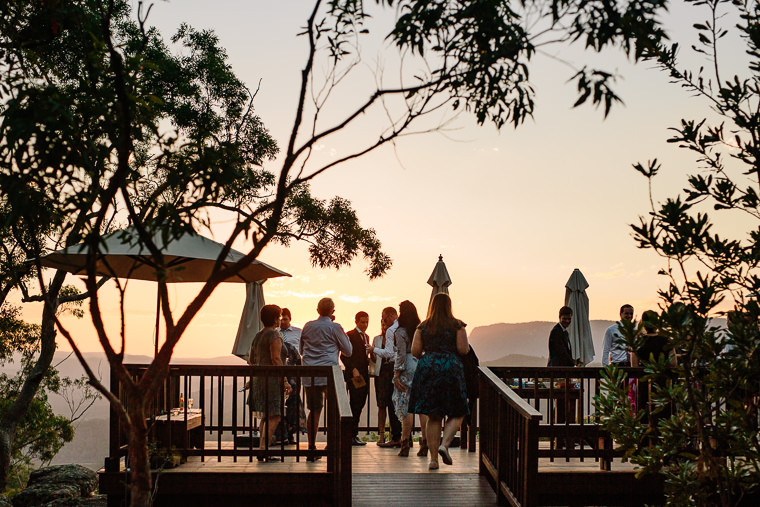 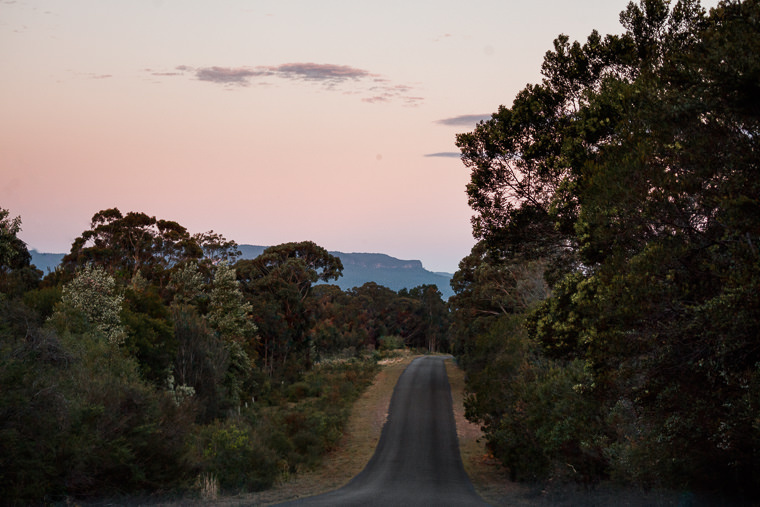 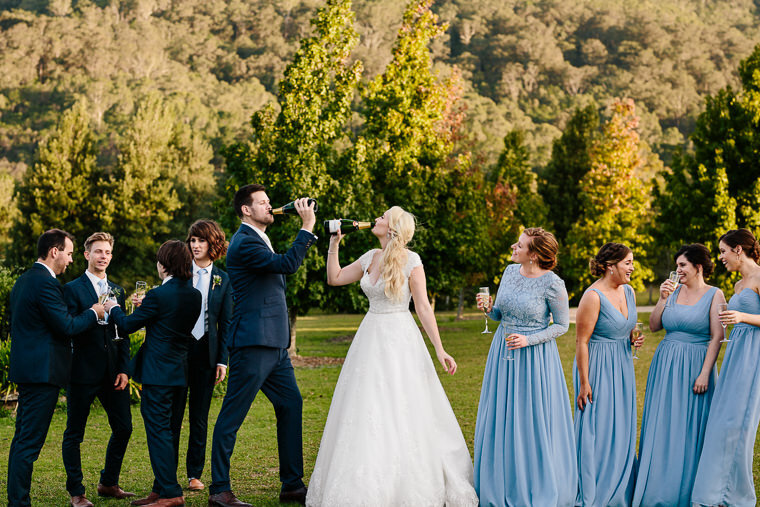 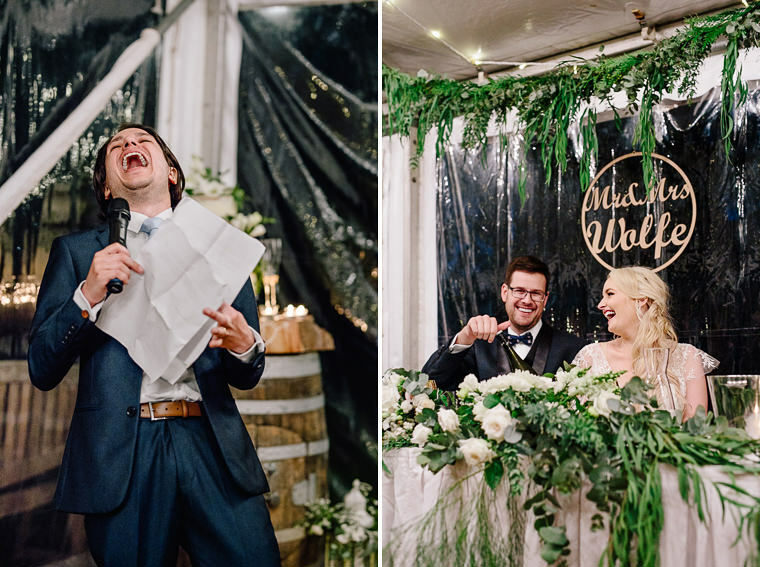 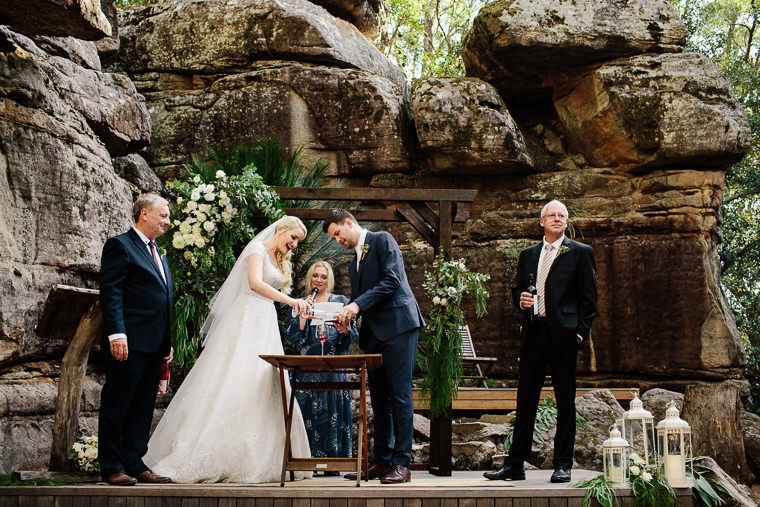 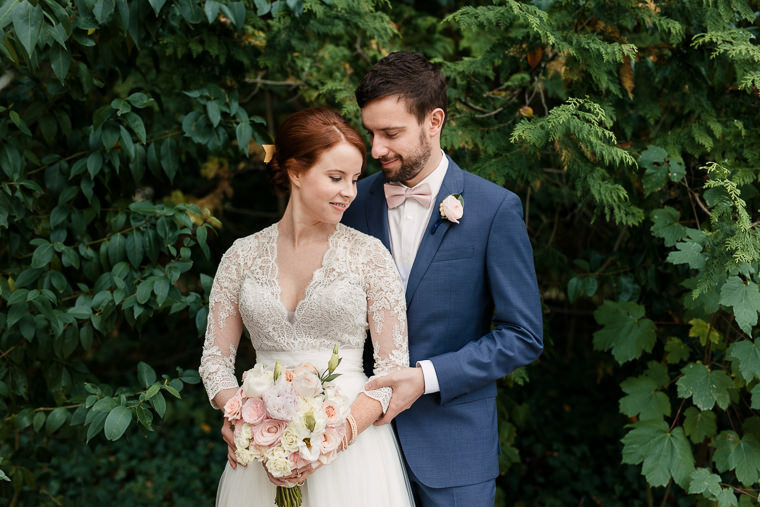 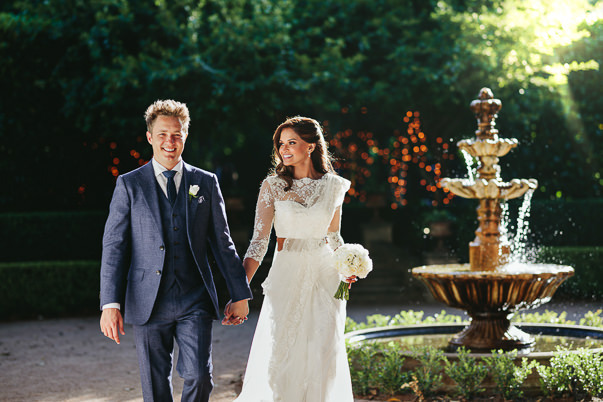 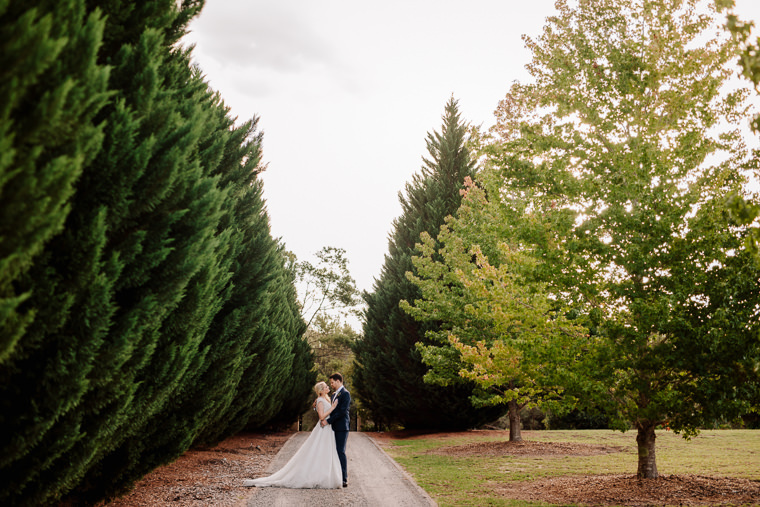 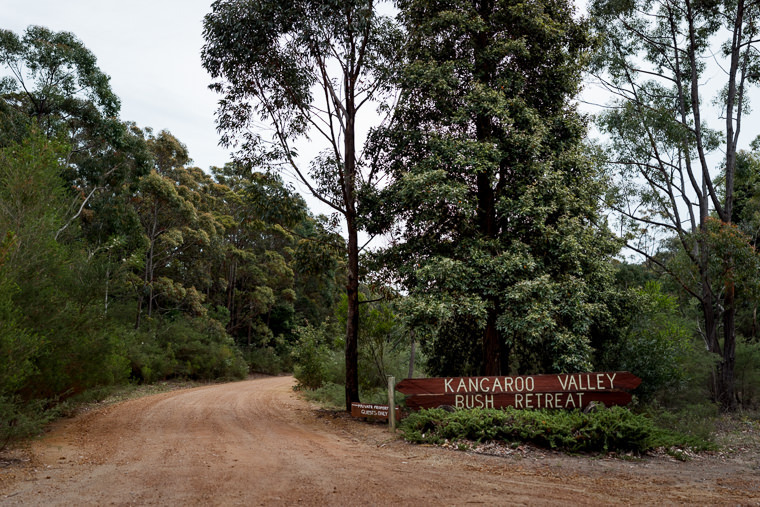 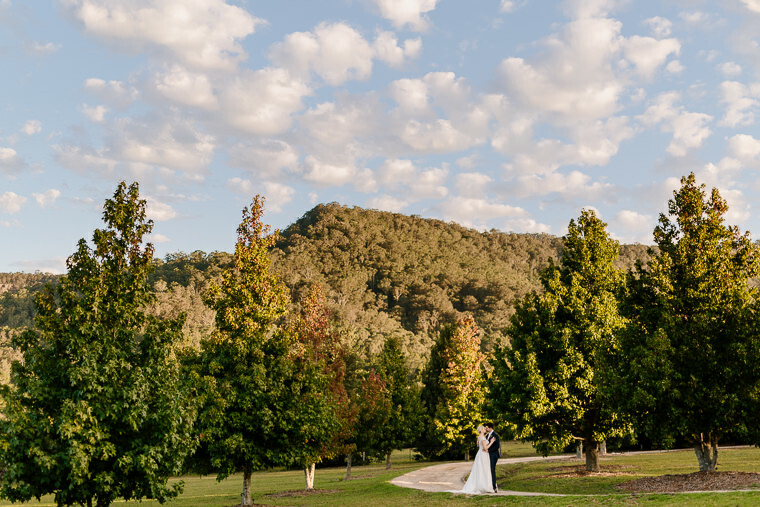 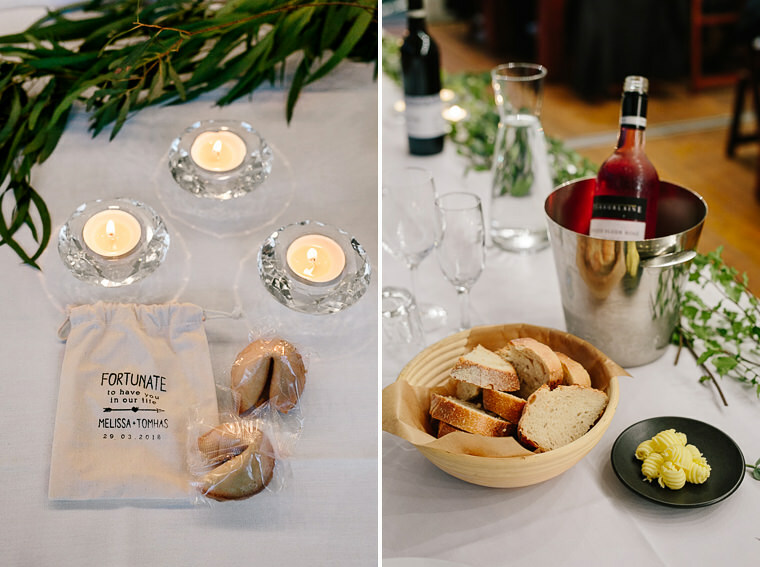 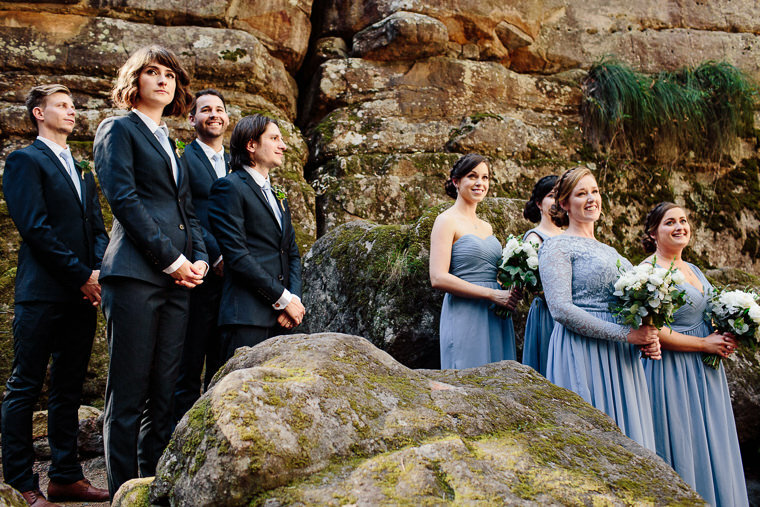 In their own words, Melissa and Tom wanted to be “married somewhere in the great outdoors… encircled by awe-inspiring sandstone monoliths” which was precisely the scene upon arrival at the Rock Cathedral within the Kangaroo Valley Bush Retreat. 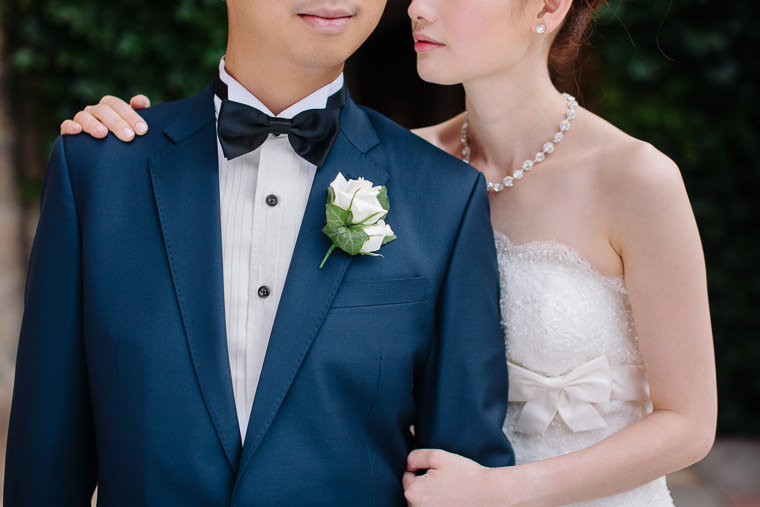 The photos tell the story of a couple who are as bold as they are unique. 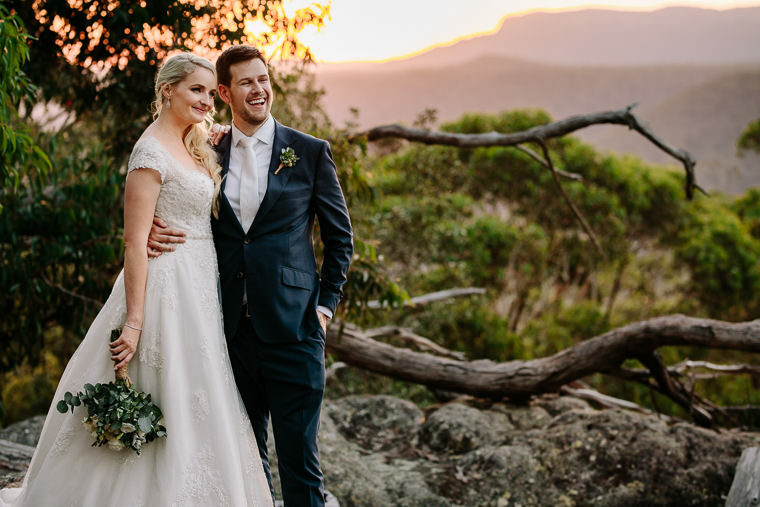 Mel & Tom are the kind of couple you want as friends if only to hear of their adventures, they are the sort who dream up their own surname, ‘Wolfe’, and run with it. 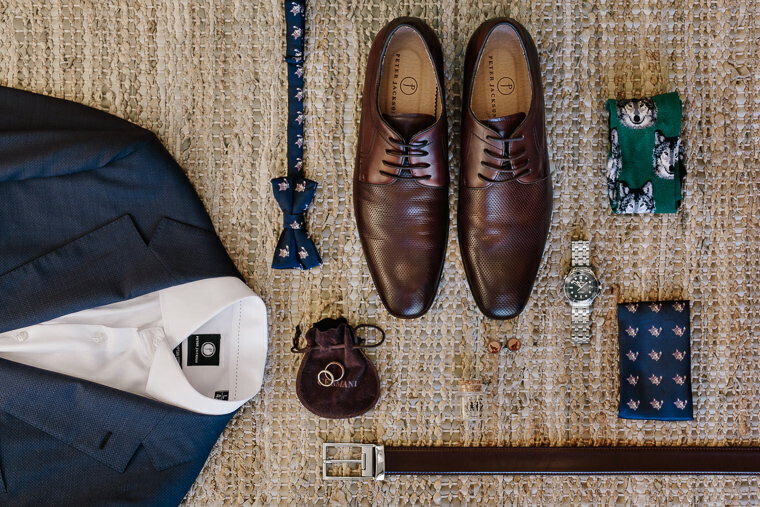 Hidden in plain sight are references: wolves on cufflinks, socks and bowties. 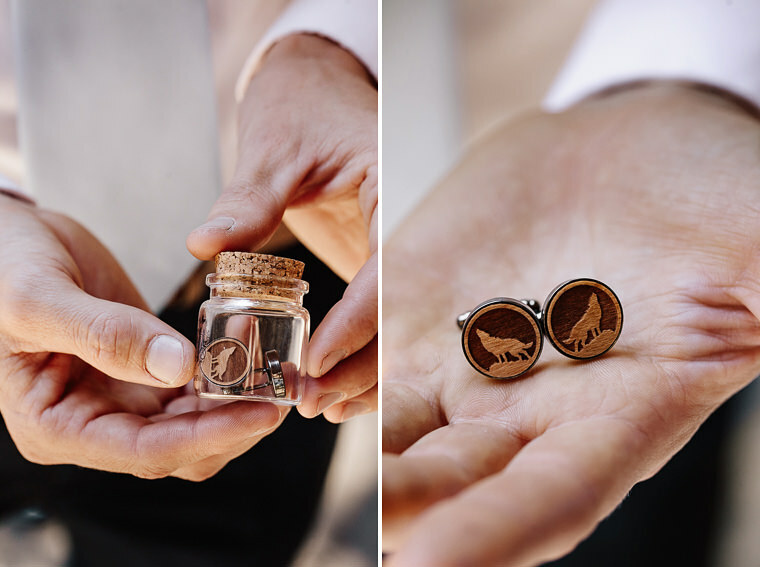 Naturally, the friends they keep are the kind who honour their quirks and howl, not clap, during speeches or unveil a surprise family crest (hand-illustrated) that enshrines their new totem. 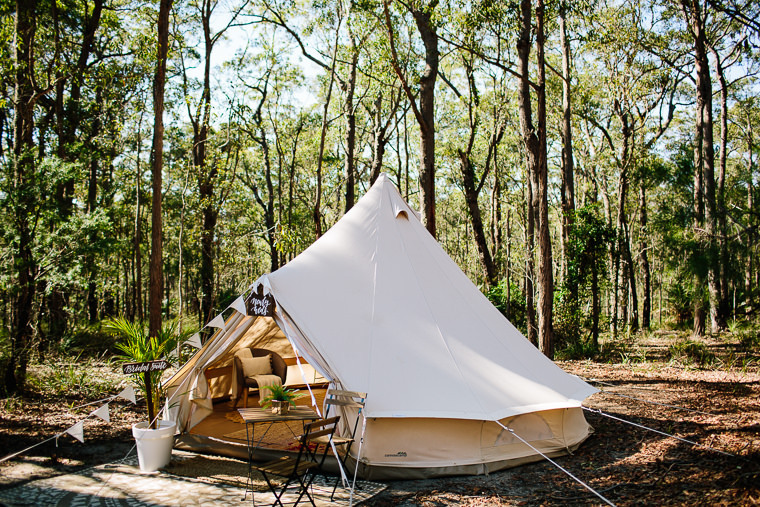 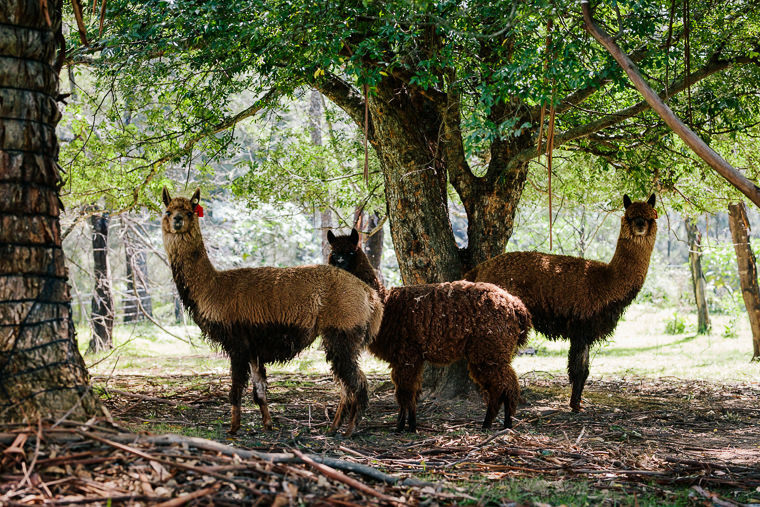 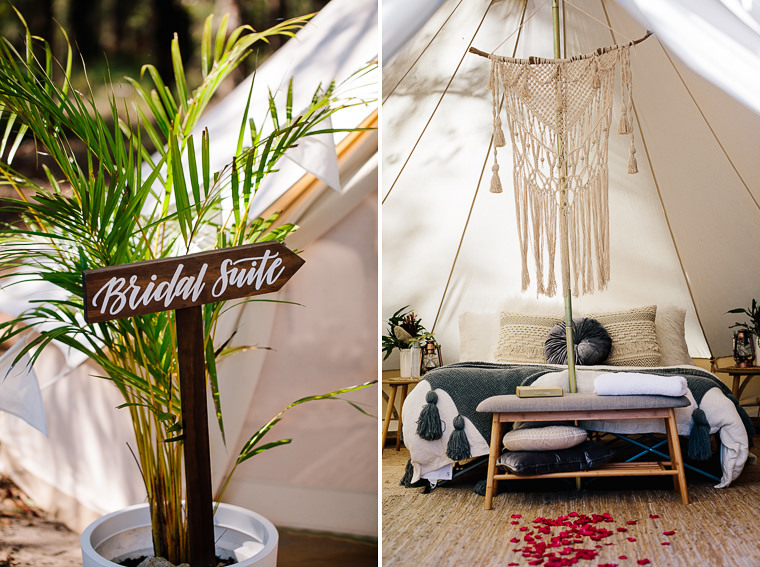 The bridal suite also hit us hard from left field – a bell tent amongst the rainforest, complete with welcome matt, plush bedding, designer chairs and all the glamping bells and whistles you would expect for your wedding day. 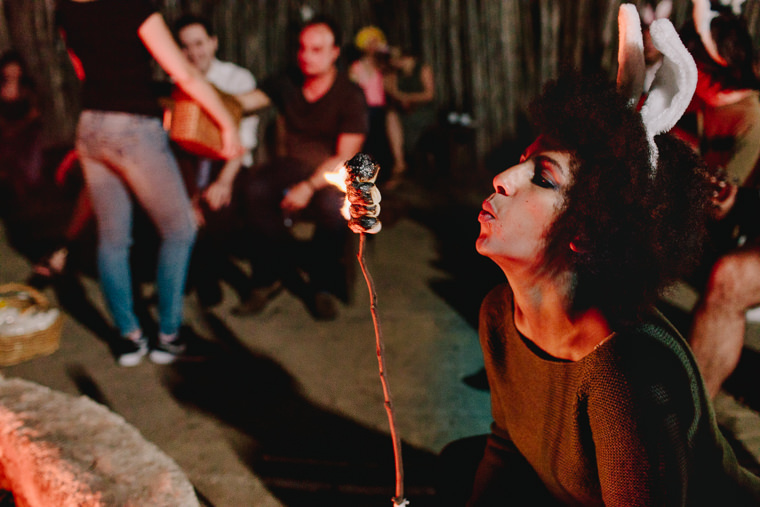 After a night of dancing and piñata-whacking (moon and wolf papier-mâché keeping with theme, of course) the more nocturnal guests continued on by the bonfire (the ‘Boma’). 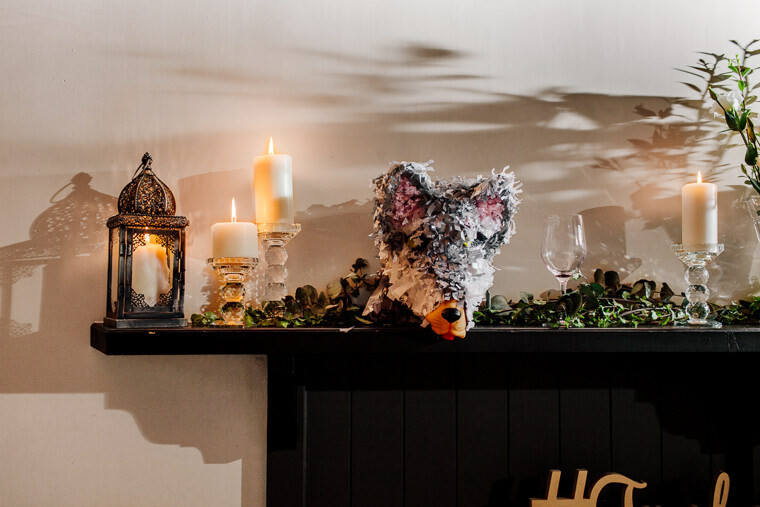 More singing and howling was had, marshmallows melted and ham’n’cheese toasties grilled – which I am told is yet another signature ‘Melissa & Tom thing’. 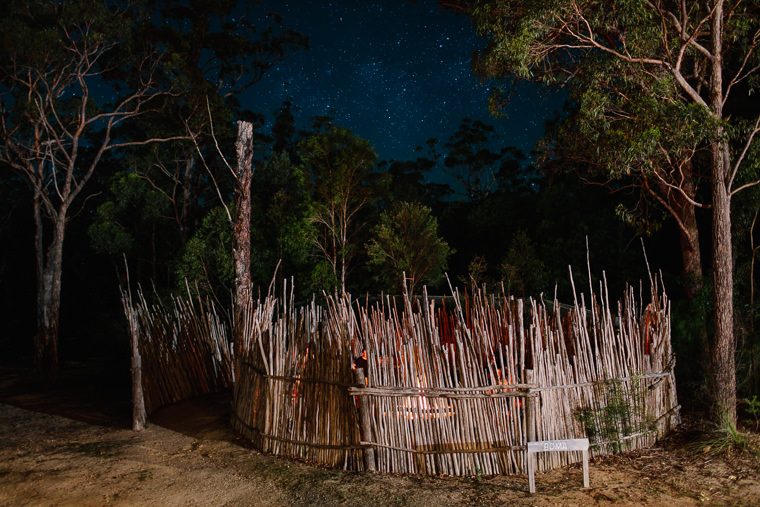 Midnight neared and the moon dipped behind trees, so we said goodbye to the Wolfes and their merry pack of friends… leaving behind what we felt to be, only partly tongue-in-cheek, a fairytale wedding. 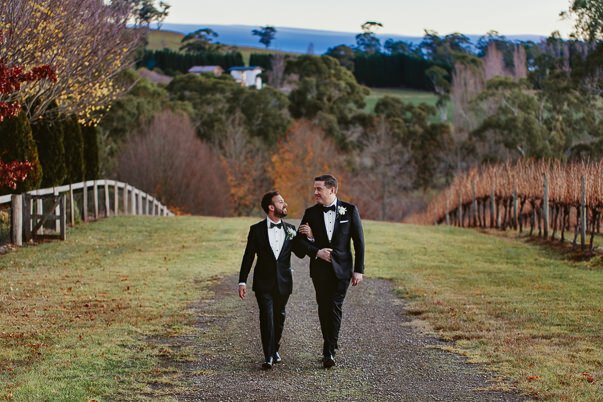 What could we possibly say about Hilary and Nicola that would be adequate? 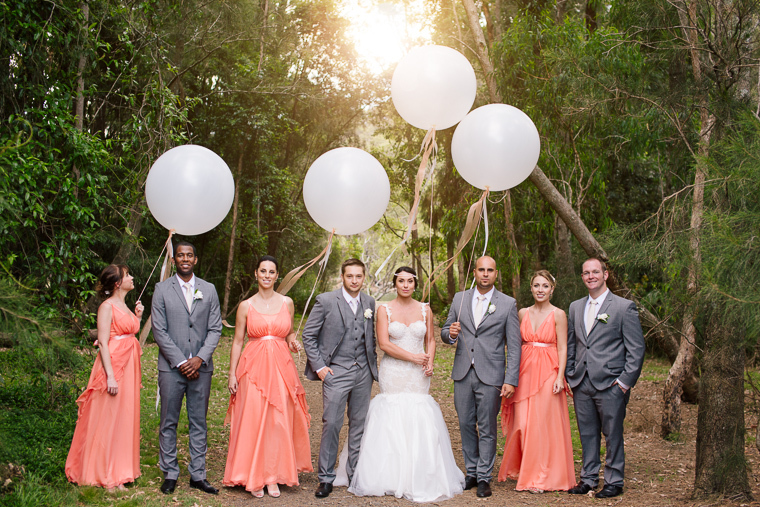 From the very onset they have been so friendly, good humoured and professional. 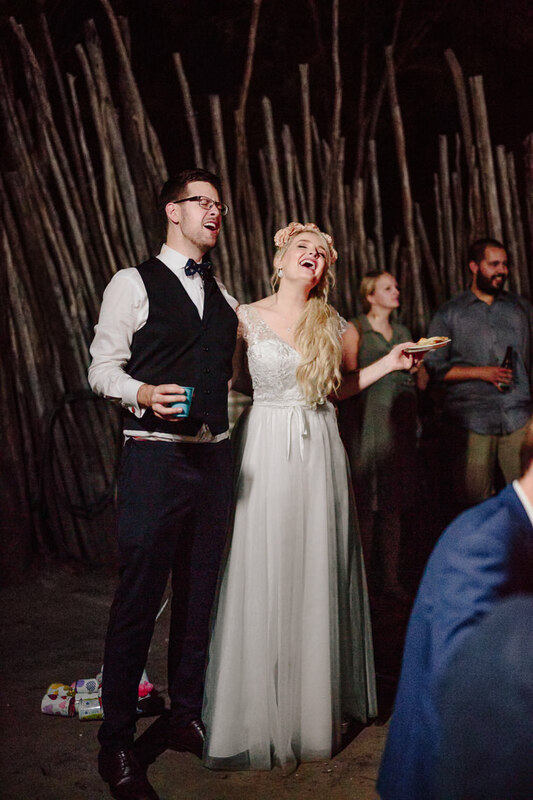 We saw their photos online and KNEW we had to have them photograph our wedding. 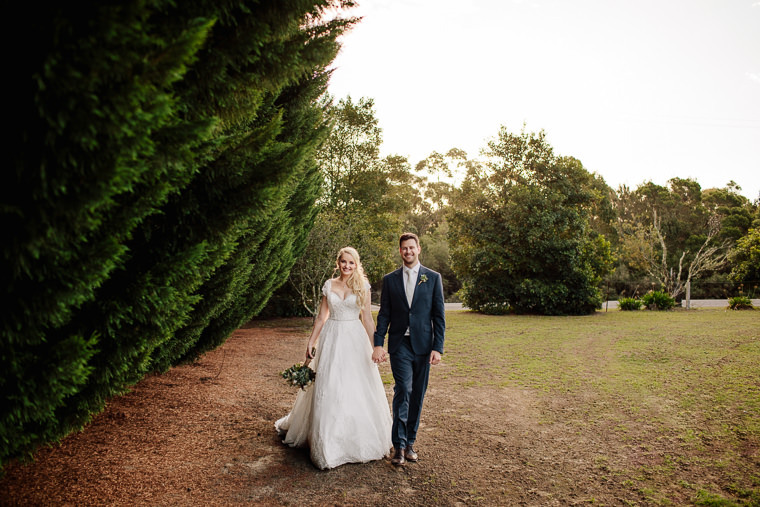 When we met them on the lead up to the wedding we knew we were in good hands. 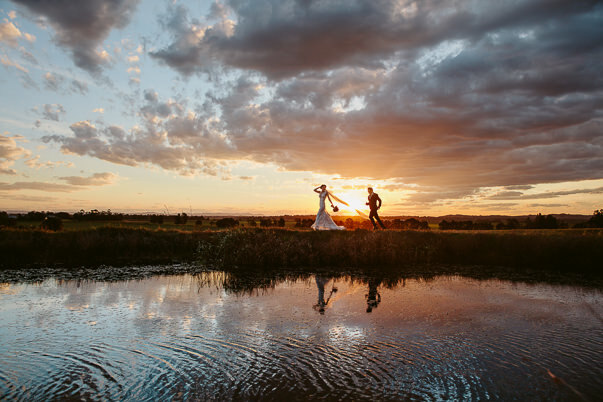 The day itself was amazing and their photography perfectly captured not only how the day looked but also how it felt! 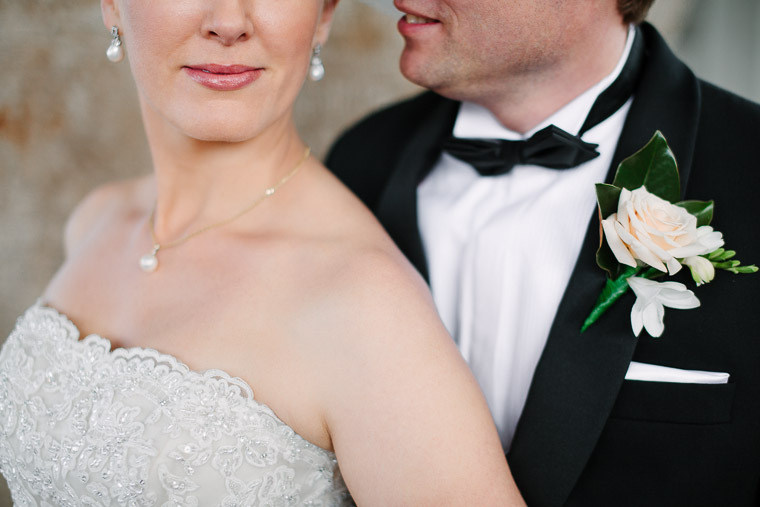 Their eye for detail is phenomenal, all of the photos right down to the smallest details were captured. 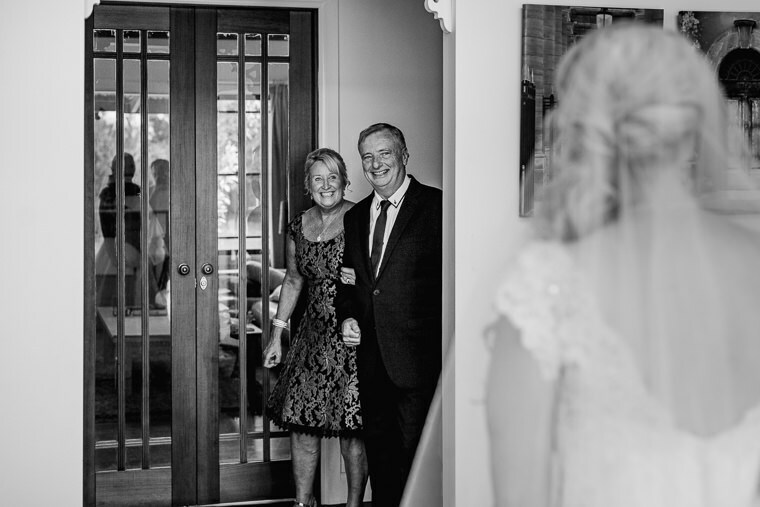 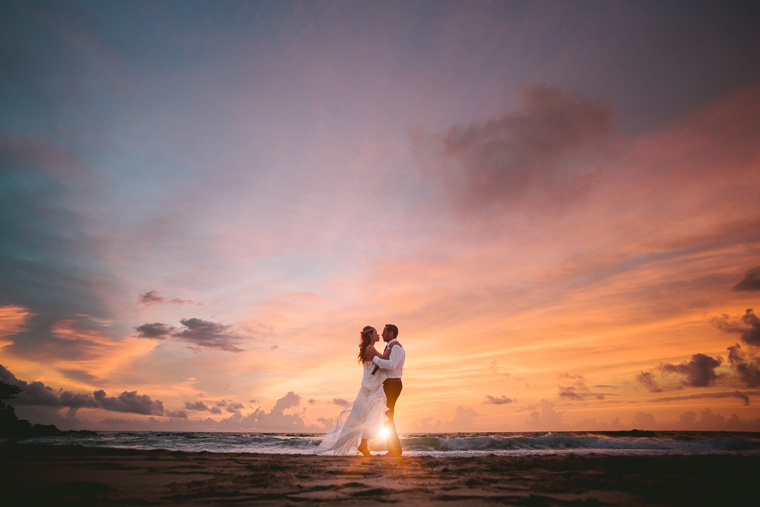 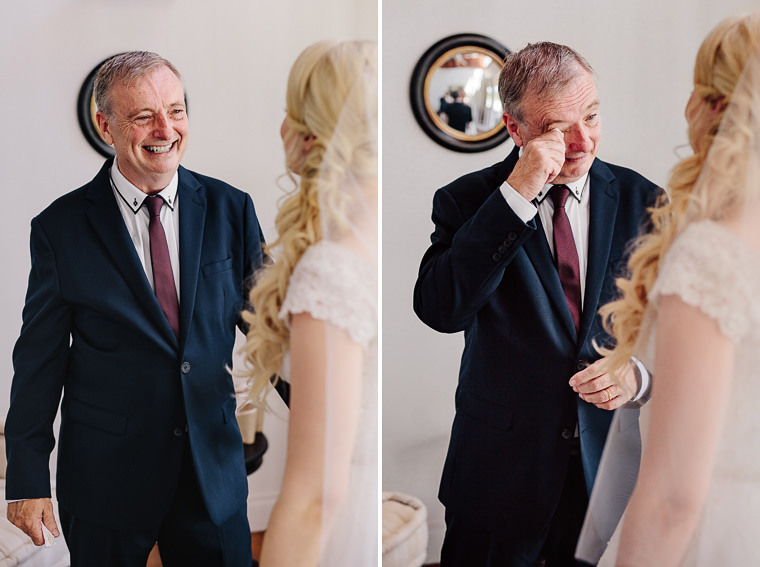 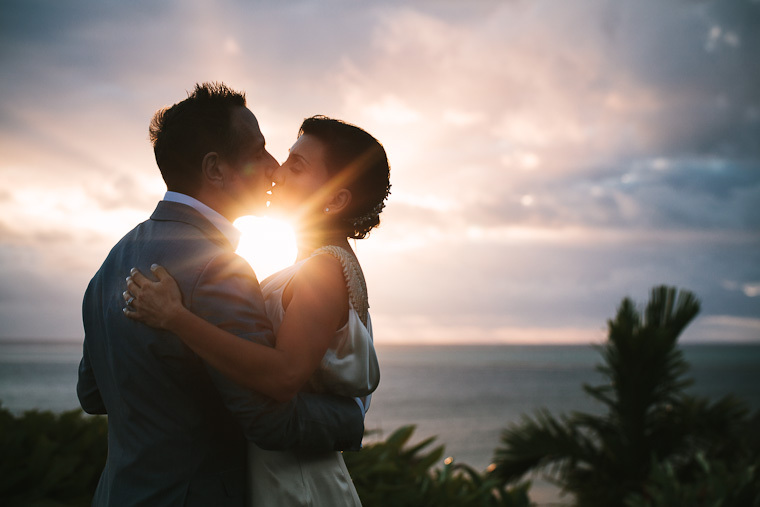 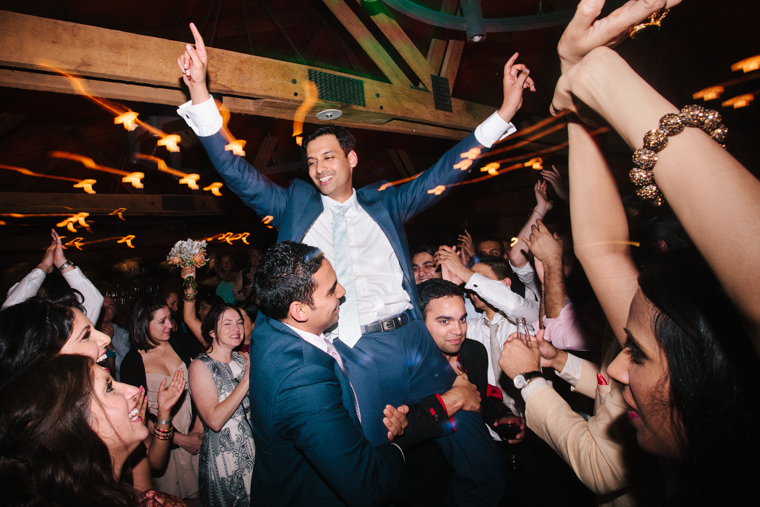 We had several guests comment on how swift and unobtrusive they were “like ninja photographers!” We felt there was the perfect amount of “posed” and candid photography and we felt they really grasped exactly what our vision was and they absolutely delivered. 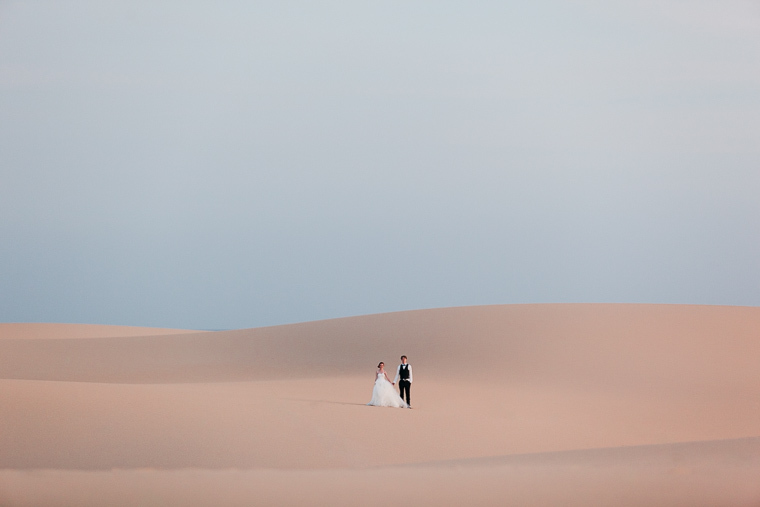 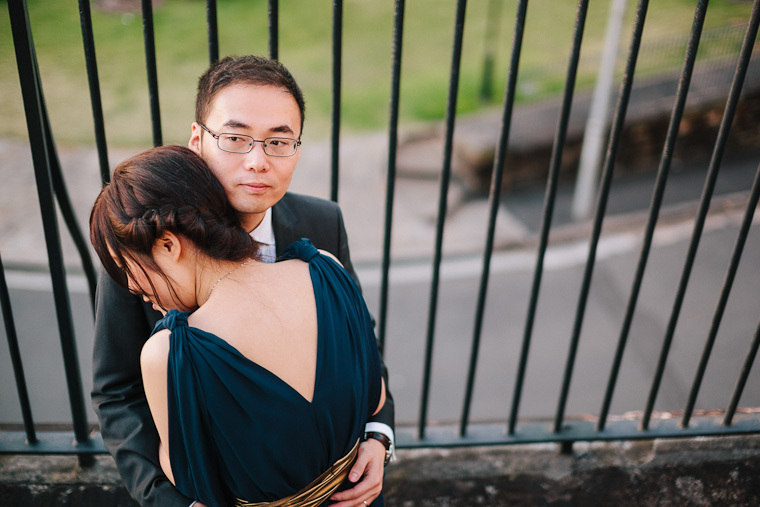 They also gave us non-photography related wedding advice that was invaluable. 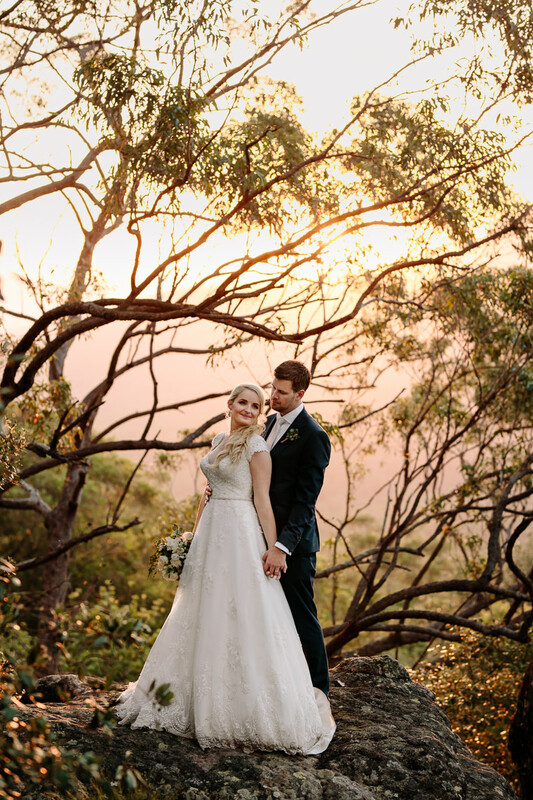 Just superb!!! 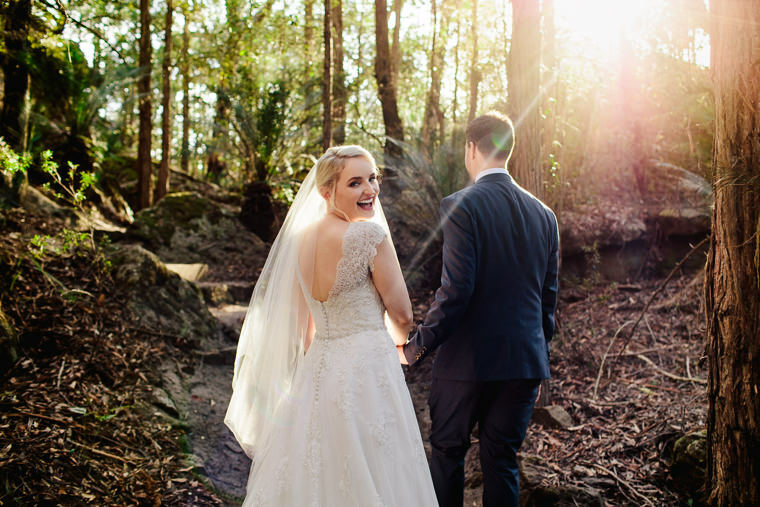 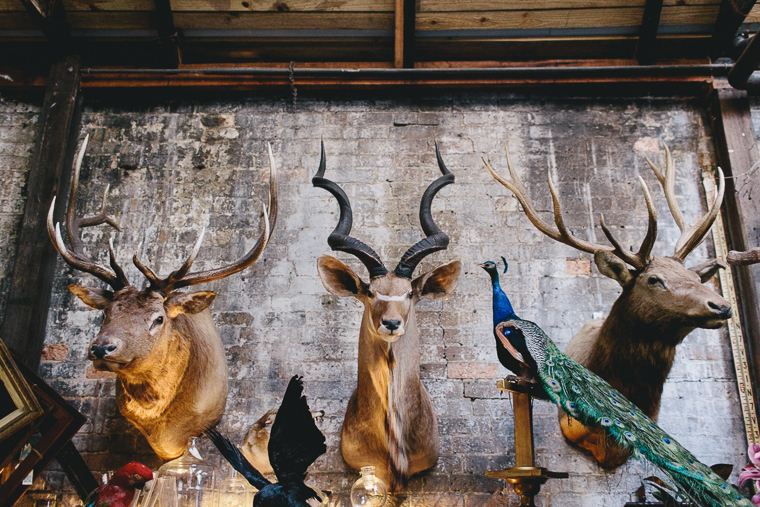 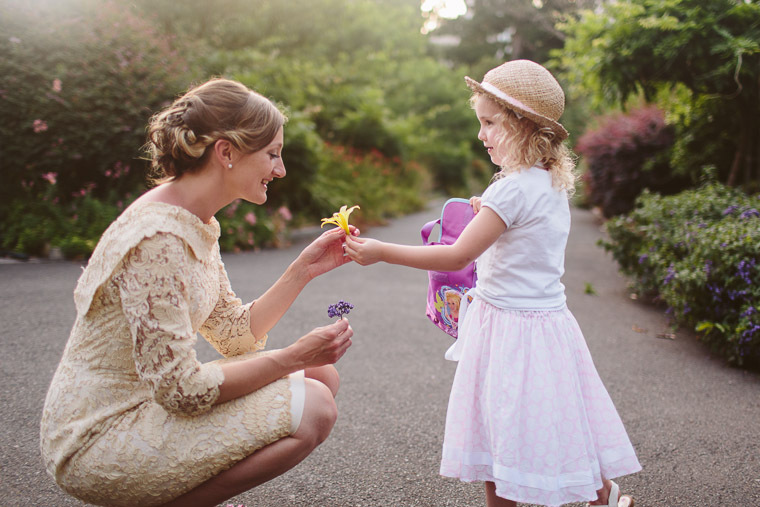 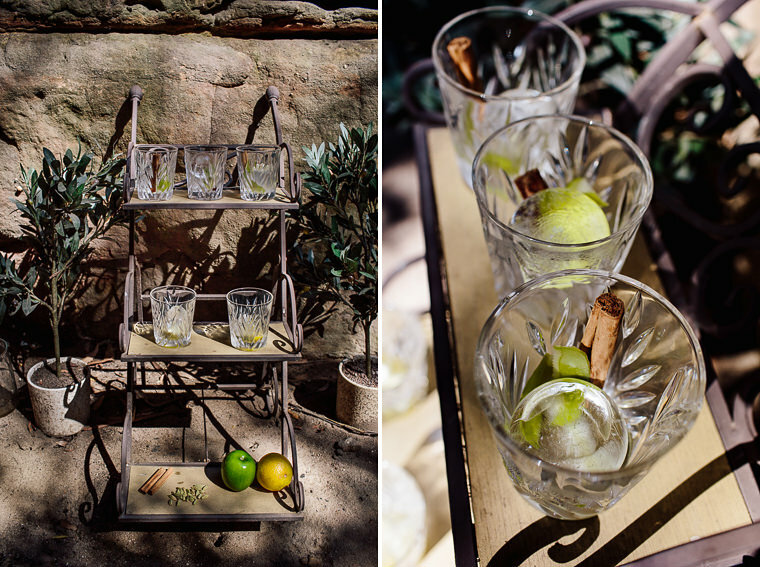 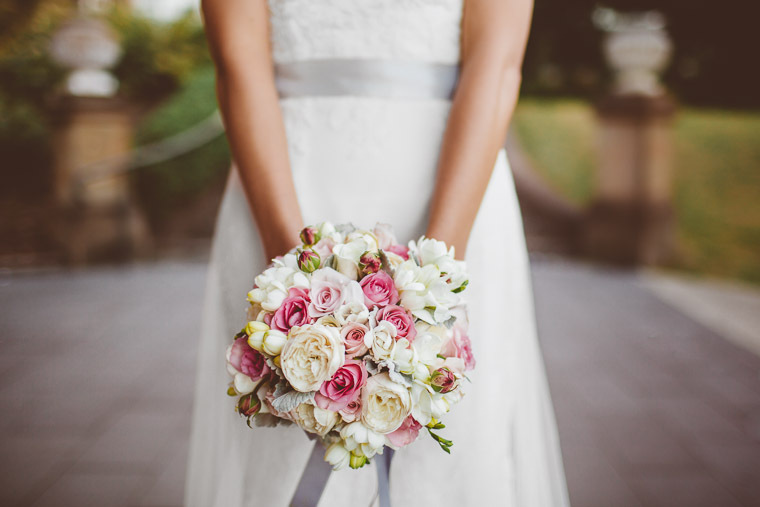 We cannot recommend Hilary Cam Photography enough!